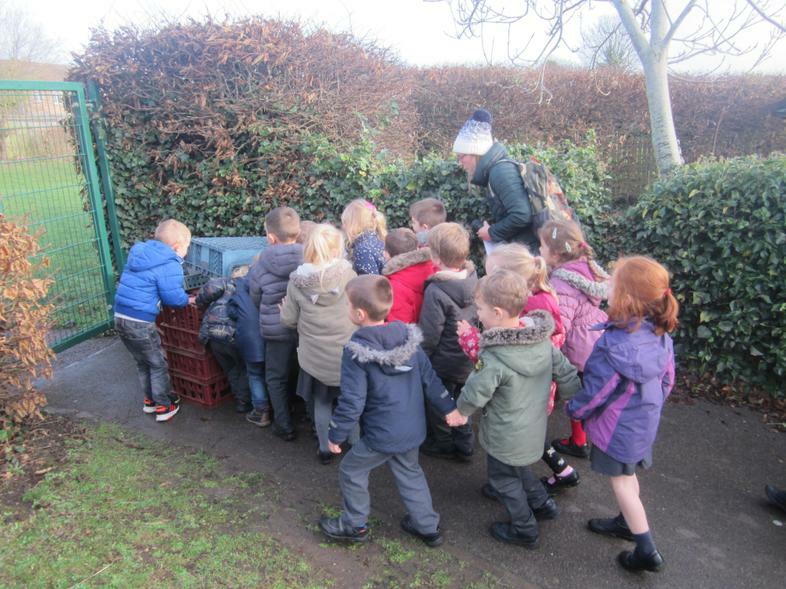 Welcome to Reception Class 2018-2019! 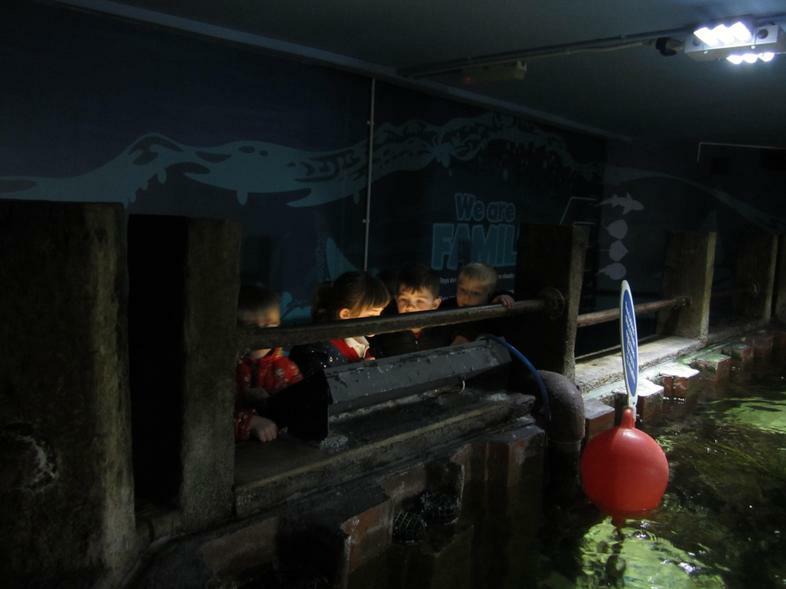 As part of our Spring Term topic "Under The Sea" we enjoyed a visit to the centre in Birmingham to see at close hand some of the wonderful creatures that live under the sea. 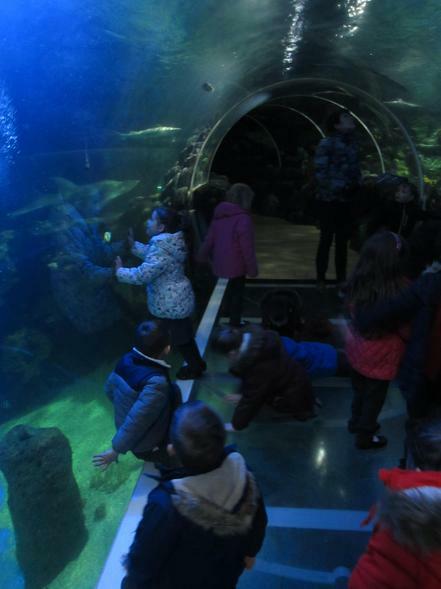 This type of visit really enhances the children's learning in school; they particularly enjoyed the walk through the "ocean tunnel" where fish and turtles swim all around, over and underneath you. 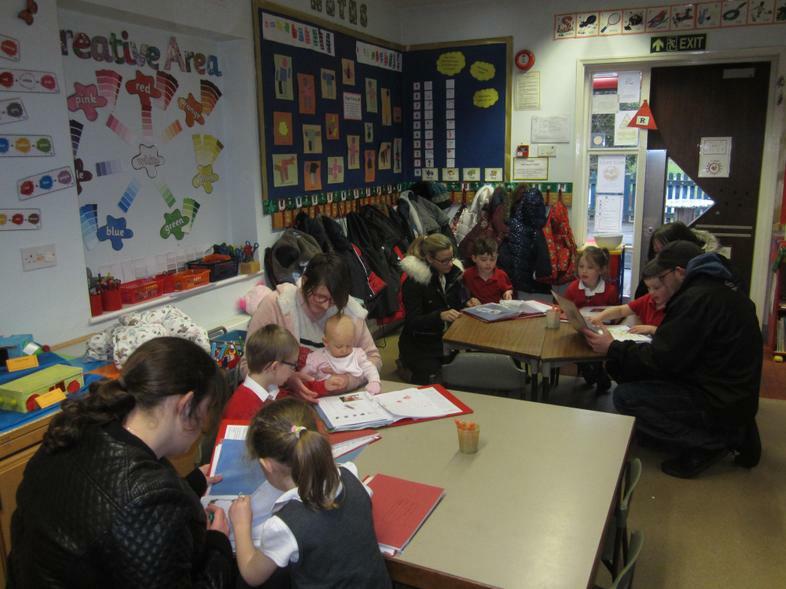 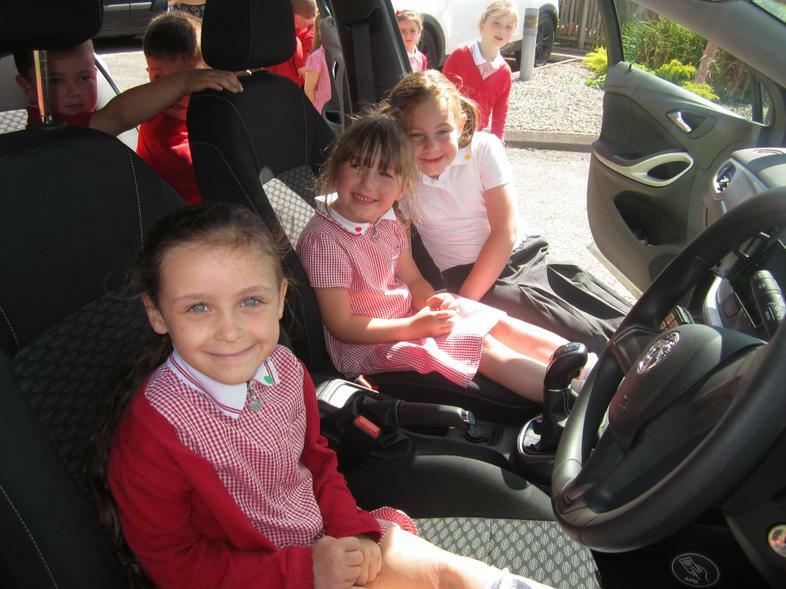 the children's excellent behaviour was commented on during the day. 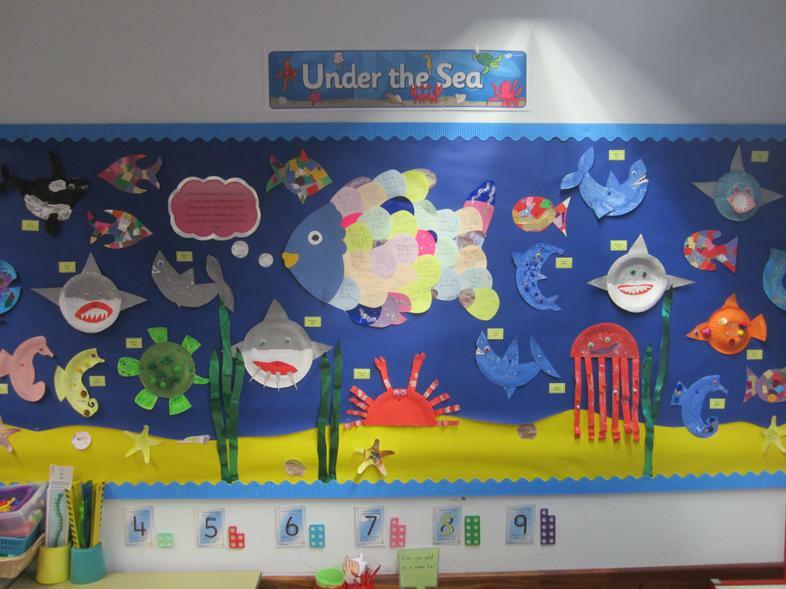 We have been learning about sea creatures for our Spring Term topic and created this colourful display. 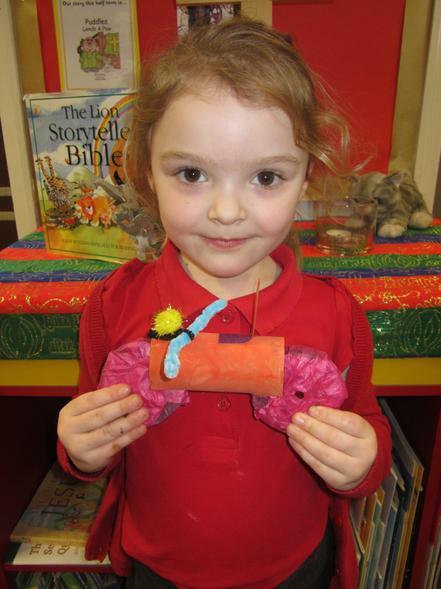 In the centre you can also see our representation of The Rainbow Fish, we have been reading the story of the same name during literacy. 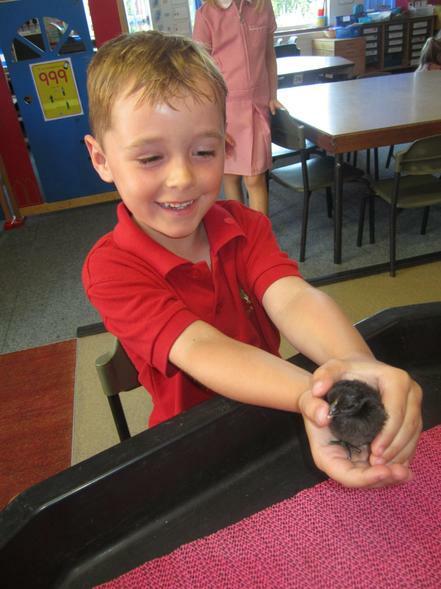 good friends to each other. 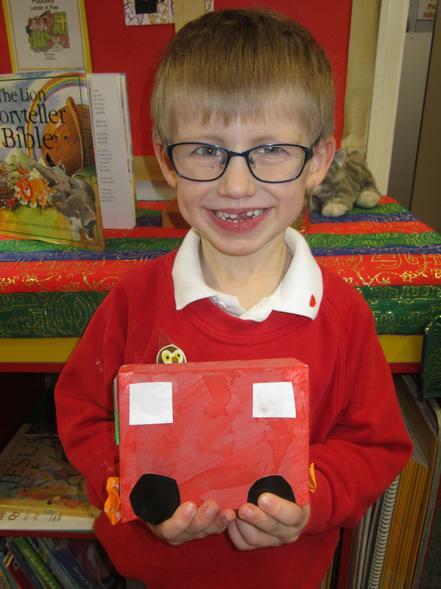 We have been learning about the signs of Autumn and created this Autumn display showcasing all the rusty reds, browns and oranges of the Autumn season. 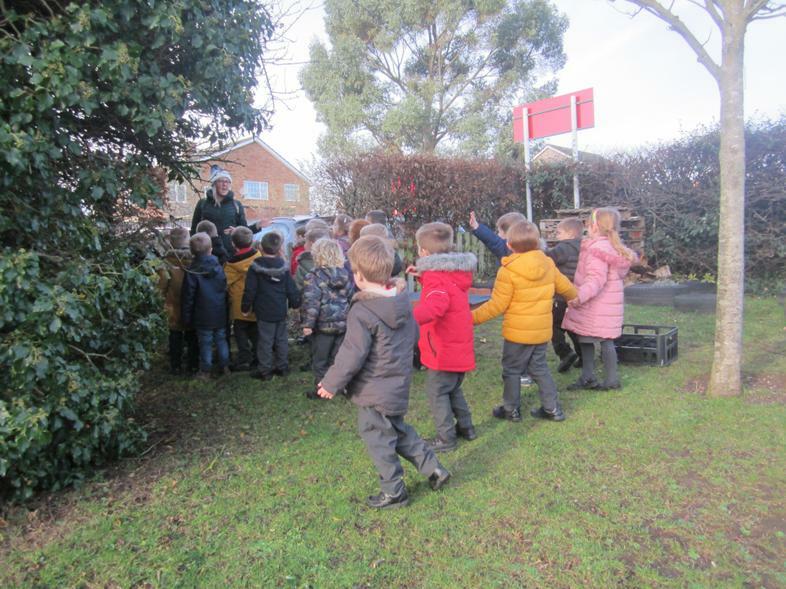 Our Autumn tree pictures are complimented by our "rainy day" pictures. 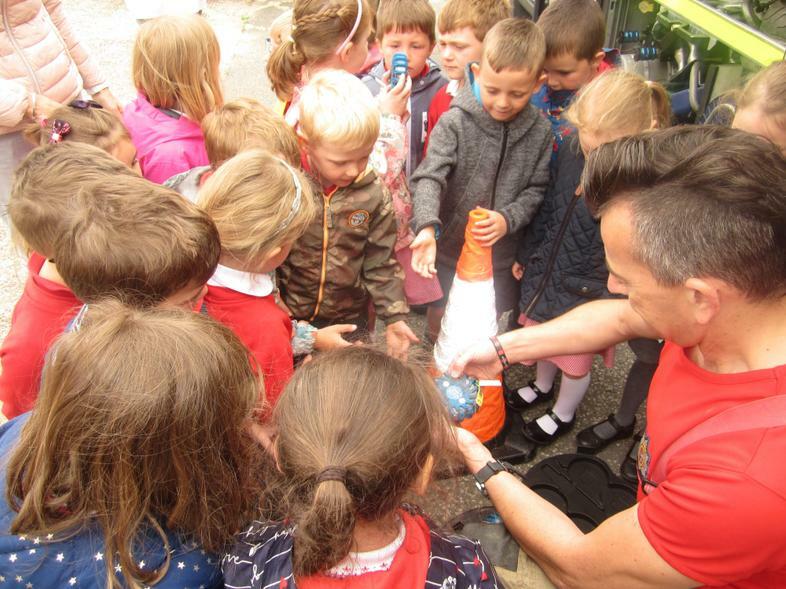 were made by printing from bubbles blown in a pot and our lovely vibrant umbrellas were collaged using bright papers and glitter. 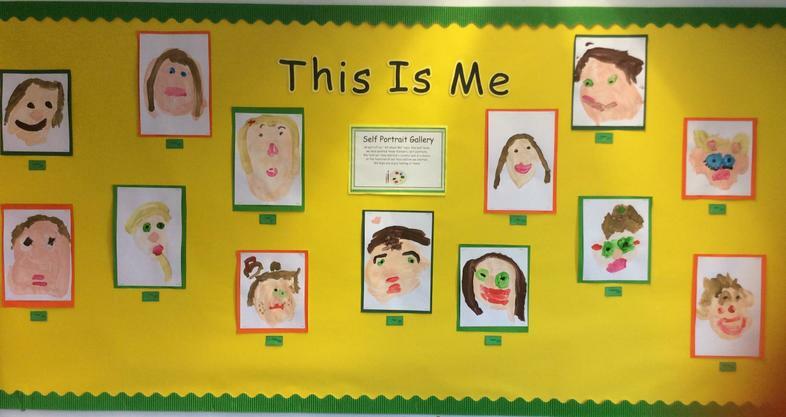 Our topic this term is called "All About Me." 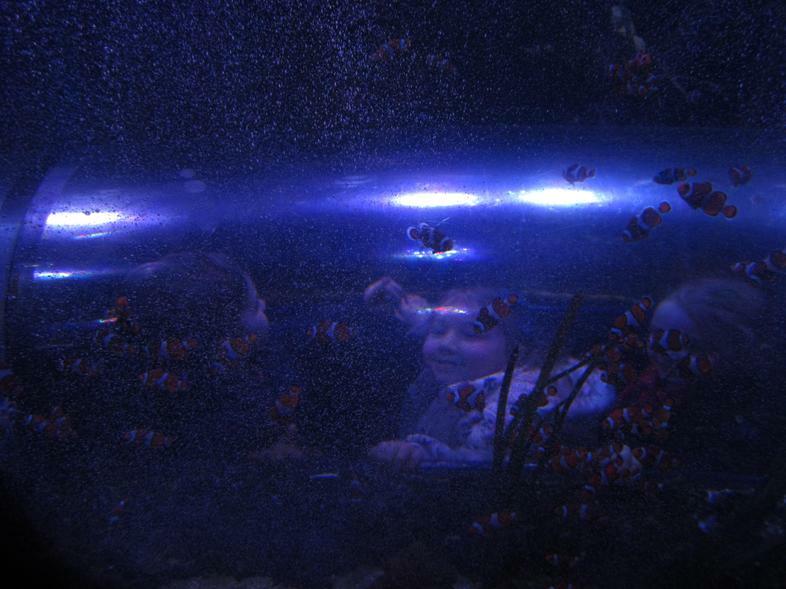 our faces closely in a mirror. 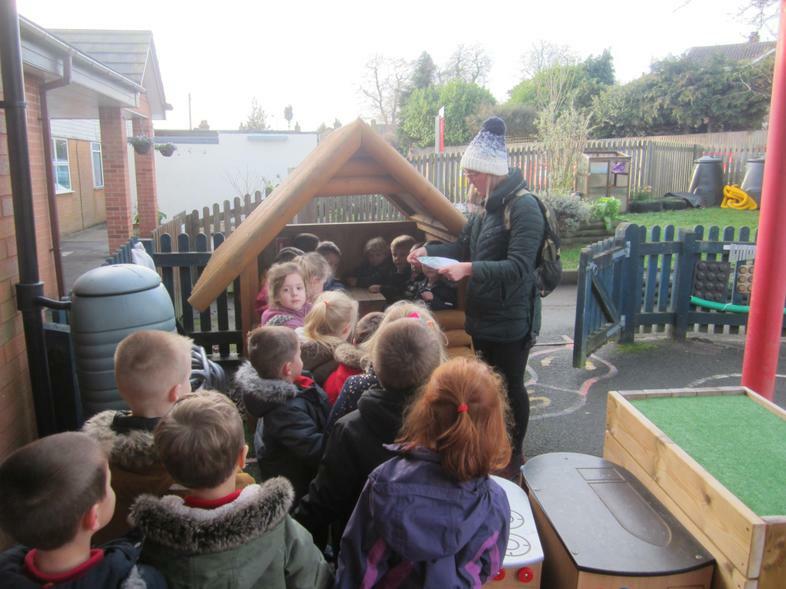 Our 23 new children have all settled really well into Reception Class and have impressed everyone in their first week with how well they have settled into the St James family. 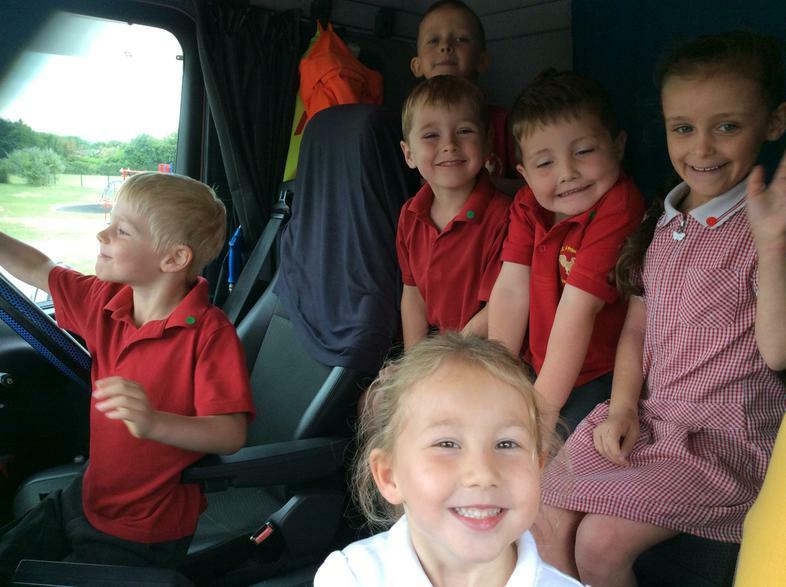 It's lovely to have them and they all look so smart in their uniforms! 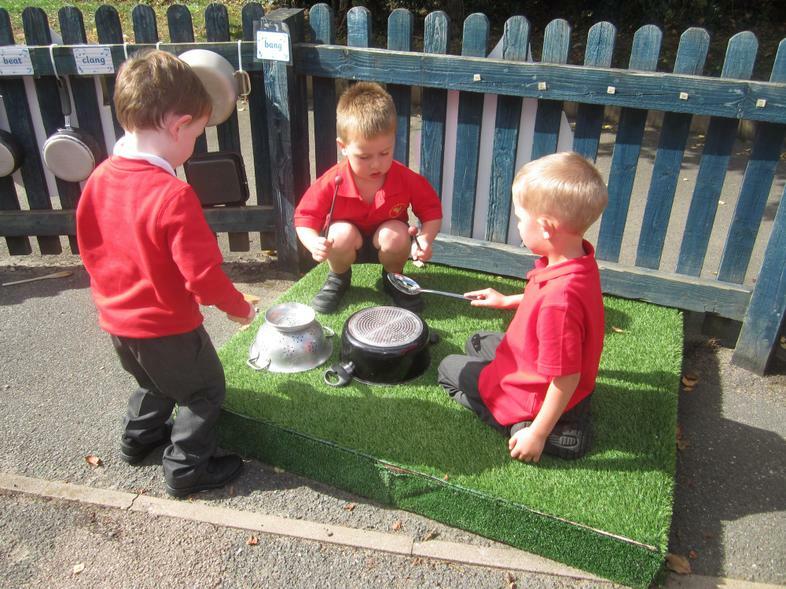 Here are some photographs from the first week and you can see them enjoying exploring their new environment and making new friends. 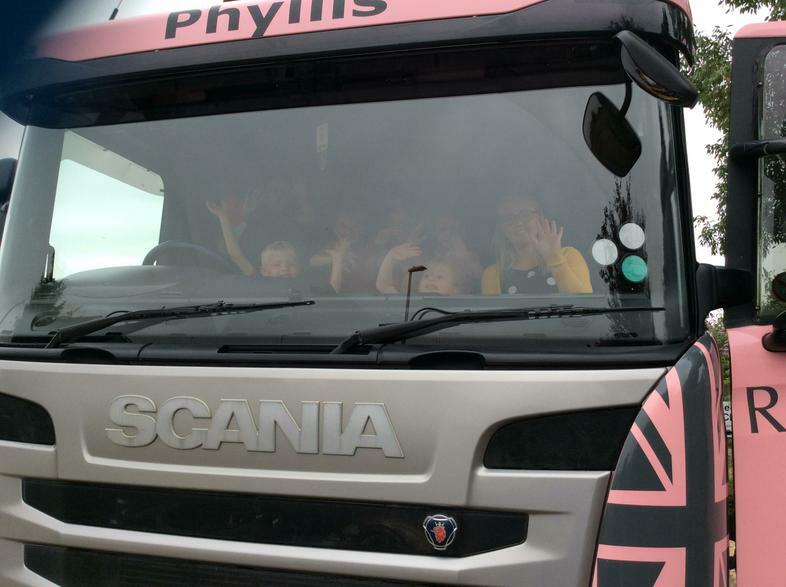 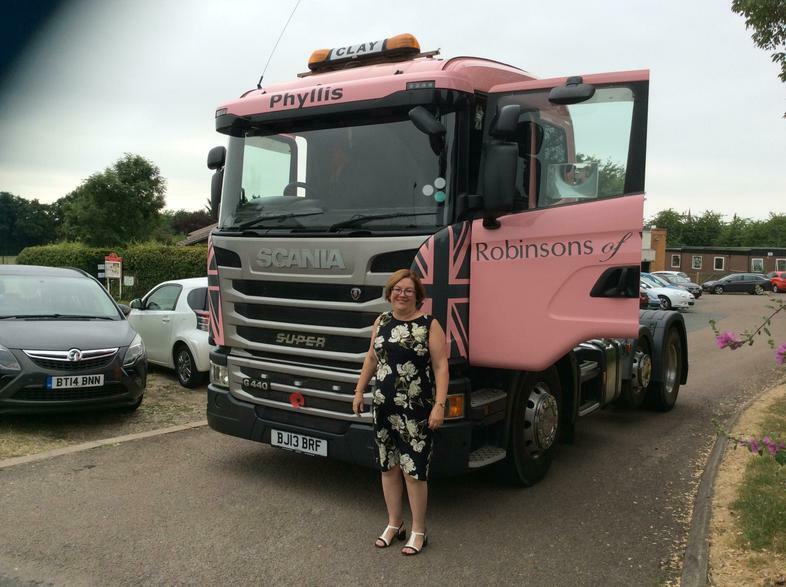 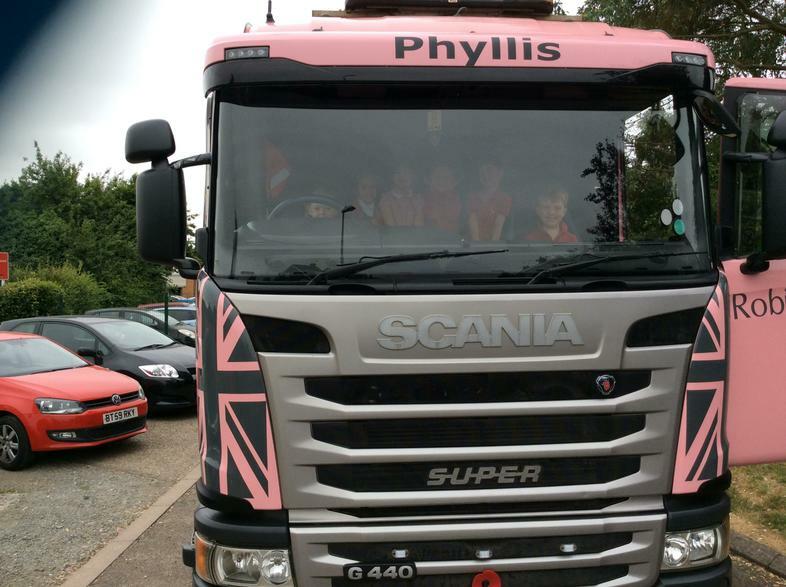 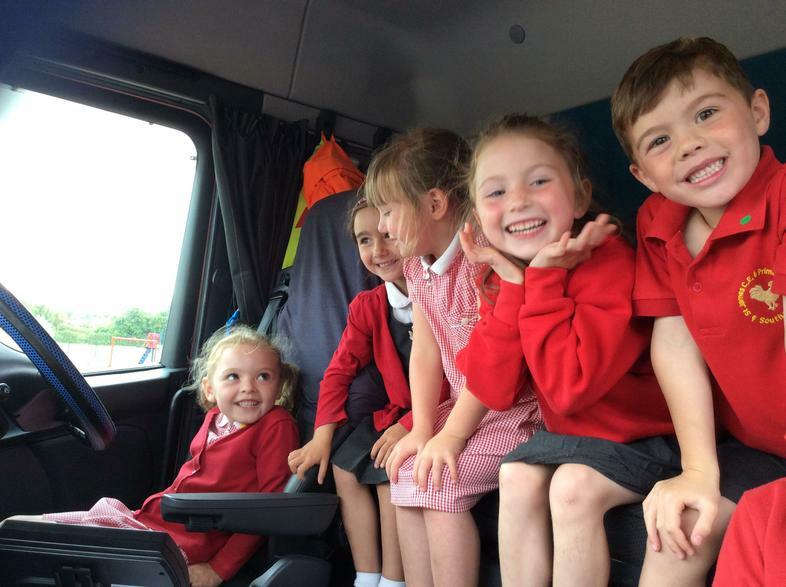 As part of Mrs King's retirement celebrations a Big Pink Truck has been named after her and on July 12th she arrived at school in it. 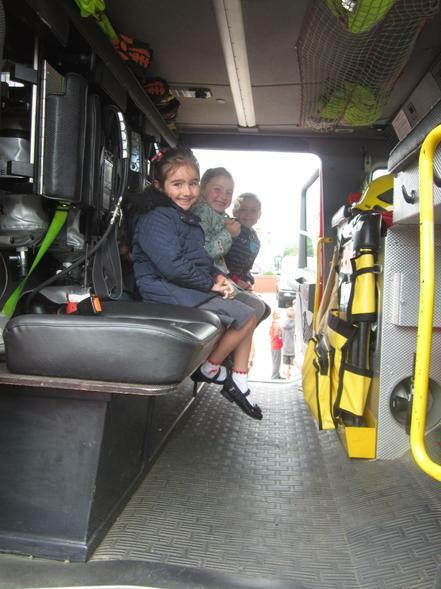 We were very lucky as we were able to climb up and sit in the cab! 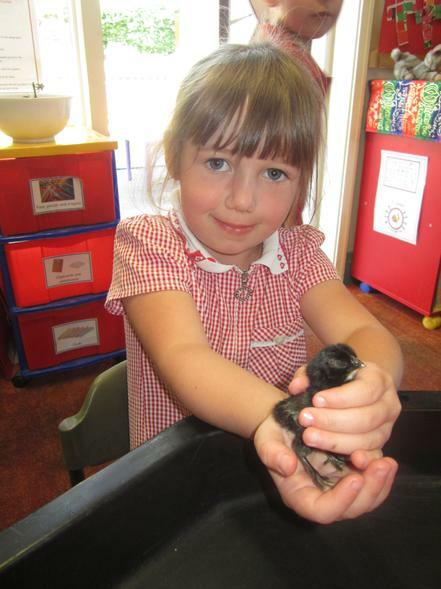 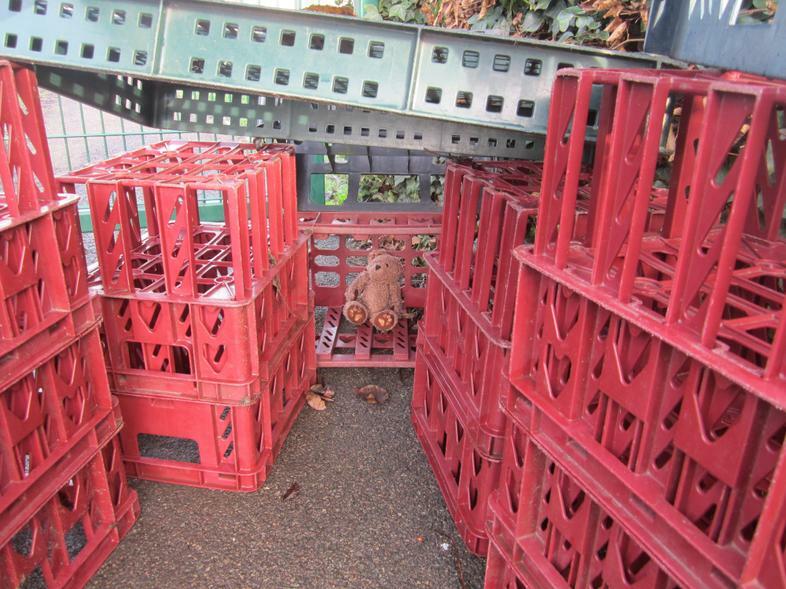 On June 18th an incubator with hens eggs in arrived in our classroom. 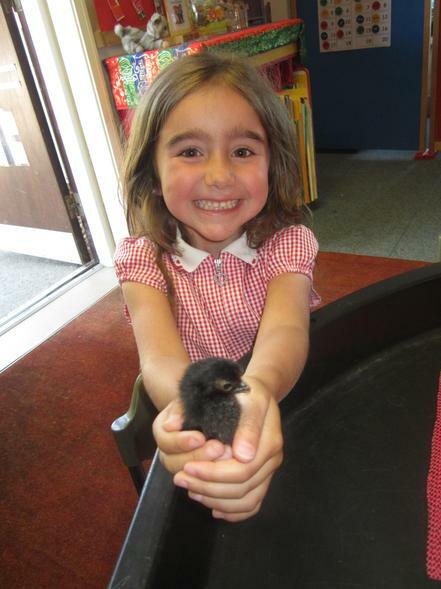 Friday 3 eggs hatched out! 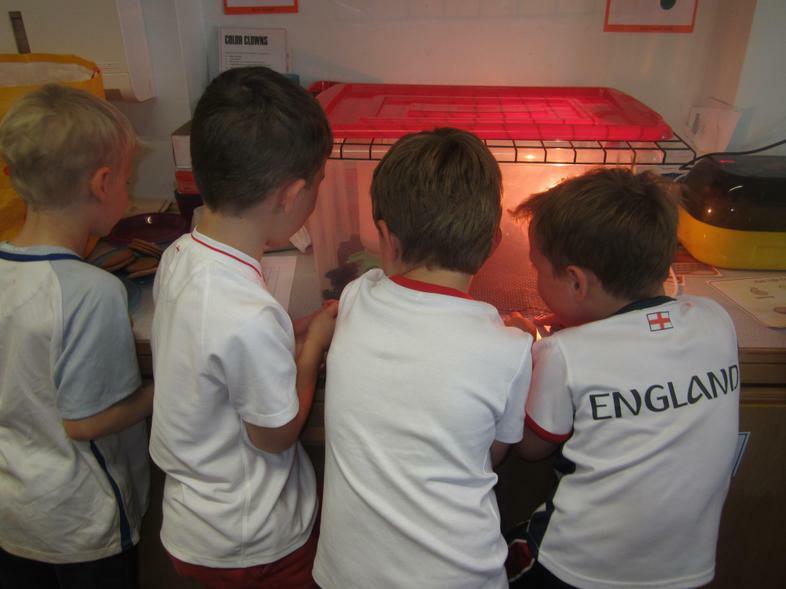 We are now learning to look after the chicks who have moved into a brooder box which has a light bulb to keep them nice and warm. 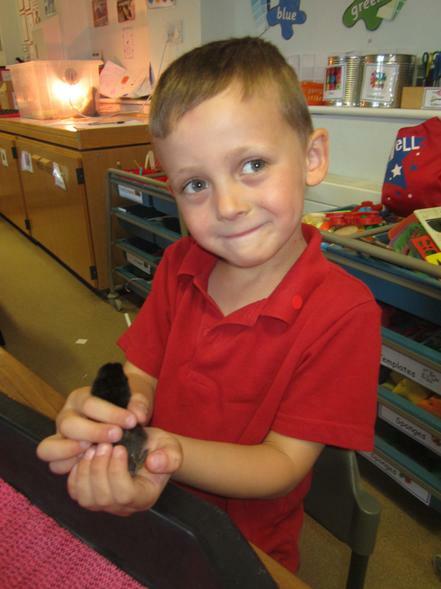 We also chose names for them, Fluffy, Cocoa and Harry. 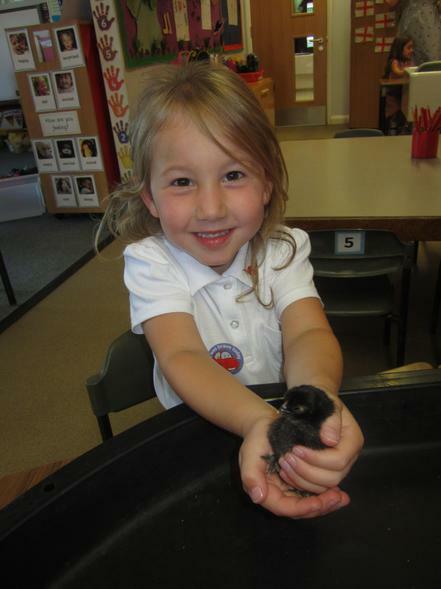 They love to come out of the brooder box and spend time in the classroom with us! 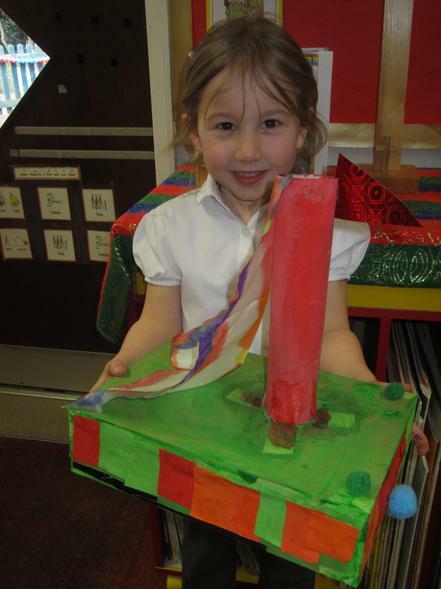 We really enjoyed our World Cup Day . 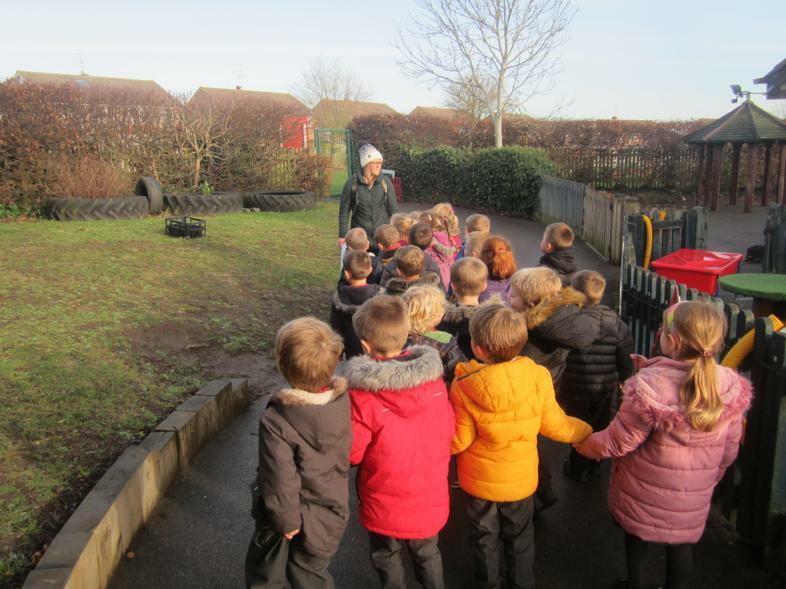 We chose to represent England as a country and enjoyed practising ball skills outside and activities in the classroom including decorating biscuits. 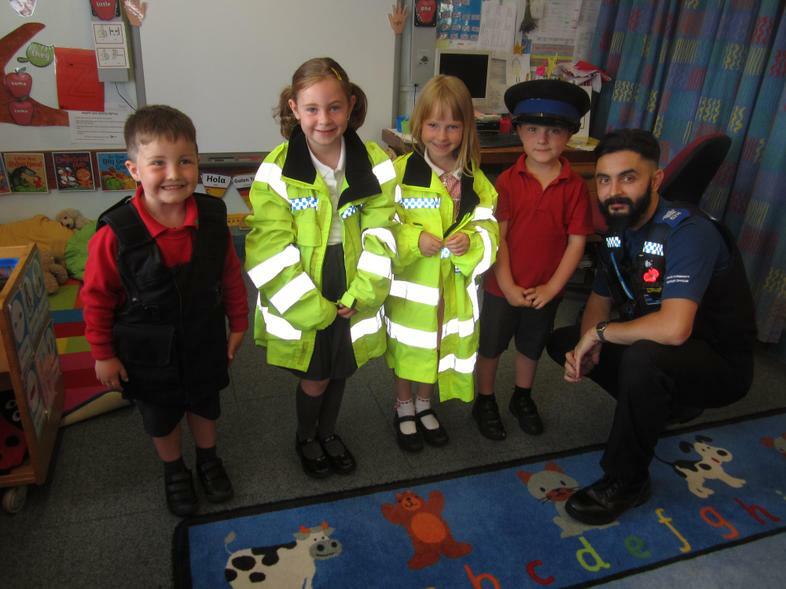 You can see from the photographs we dressed up in a very patriotic way for the day. 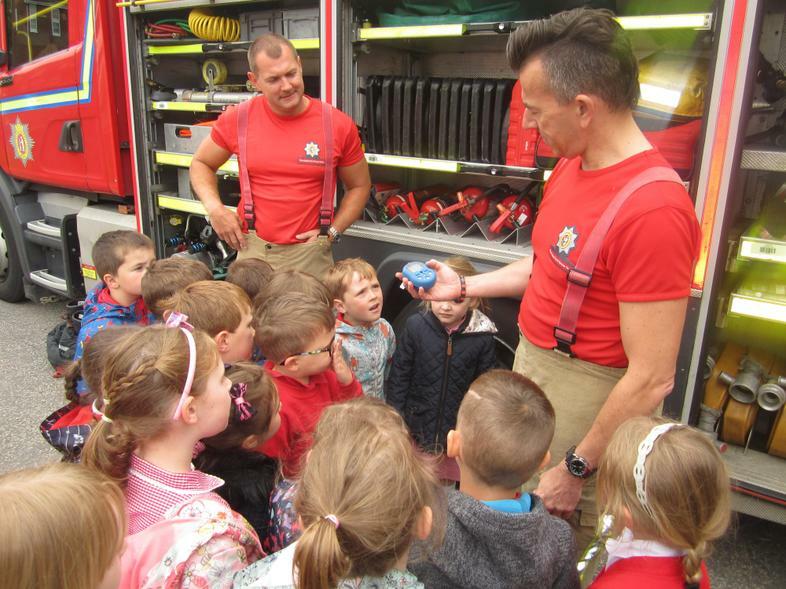 Thanks to everyone at home for taking so much trouble over the children's England themed football strips. 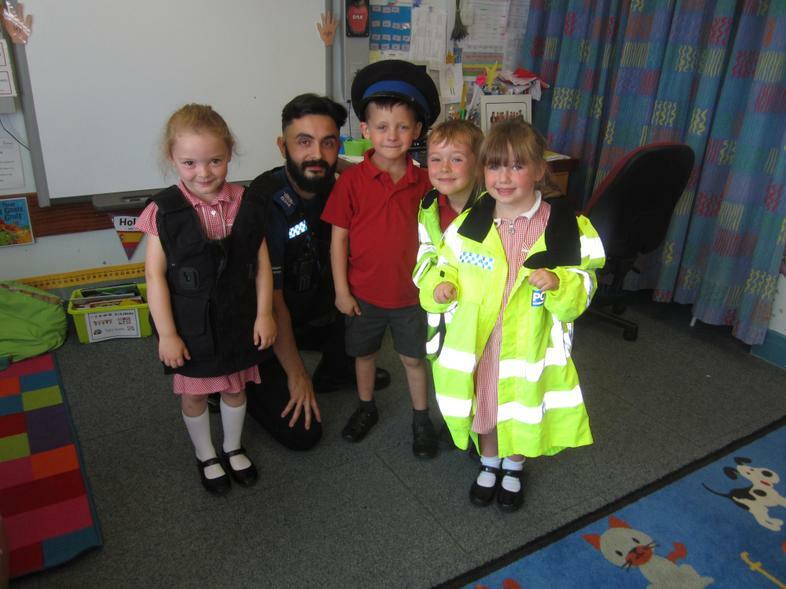 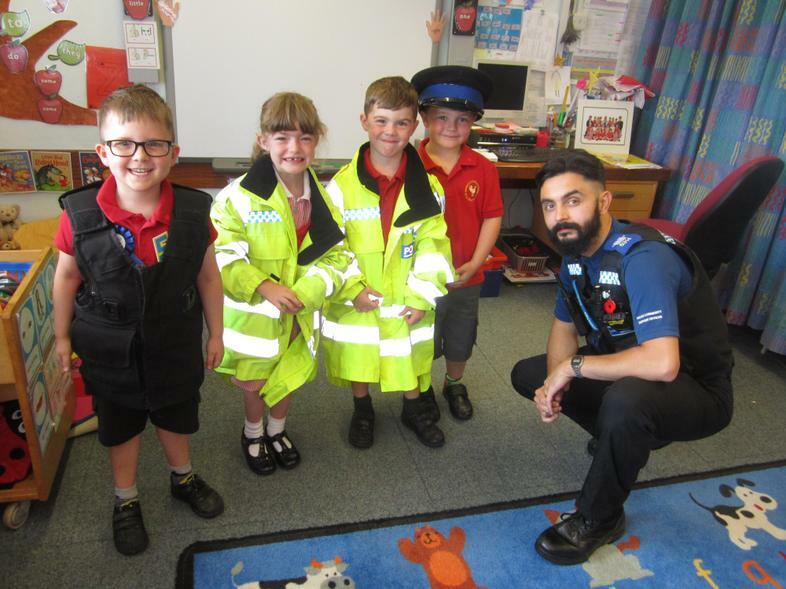 Following on from our visit to the Fire Station and carrying on with our "People Who Help Us" topic, we received a visit from PCSO Lewis Barber. 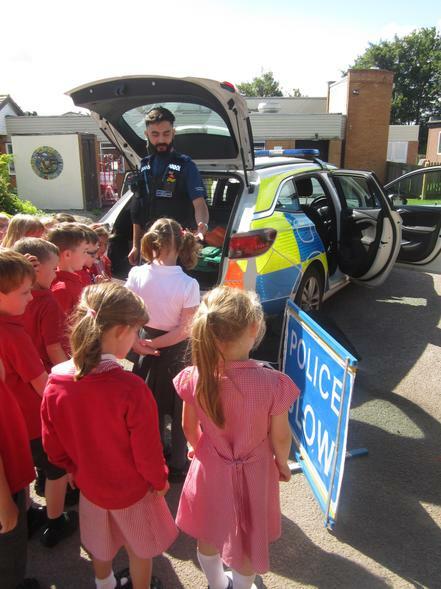 He explained to the children the different roles the police perform emphasising one of their main roles is to help people. 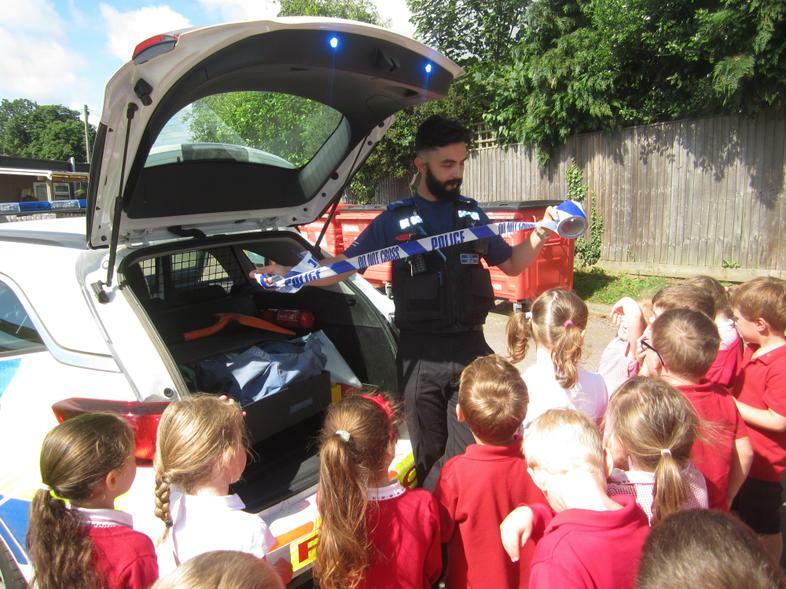 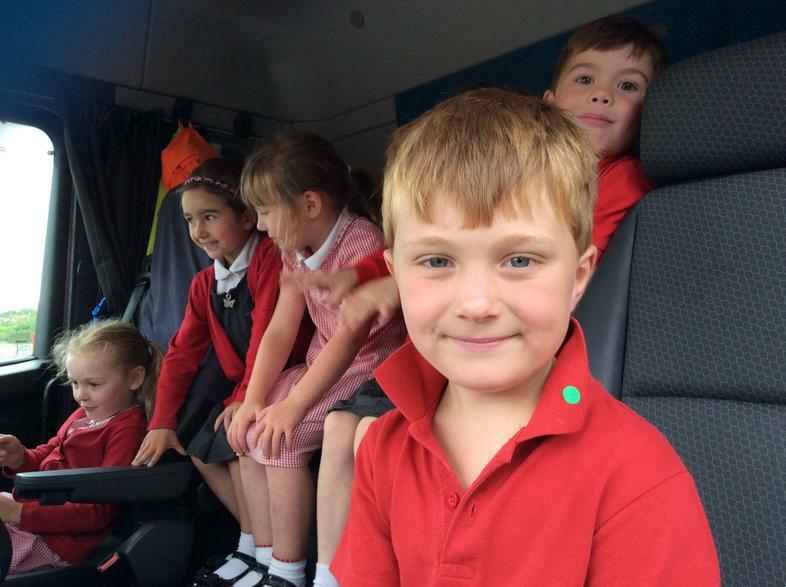 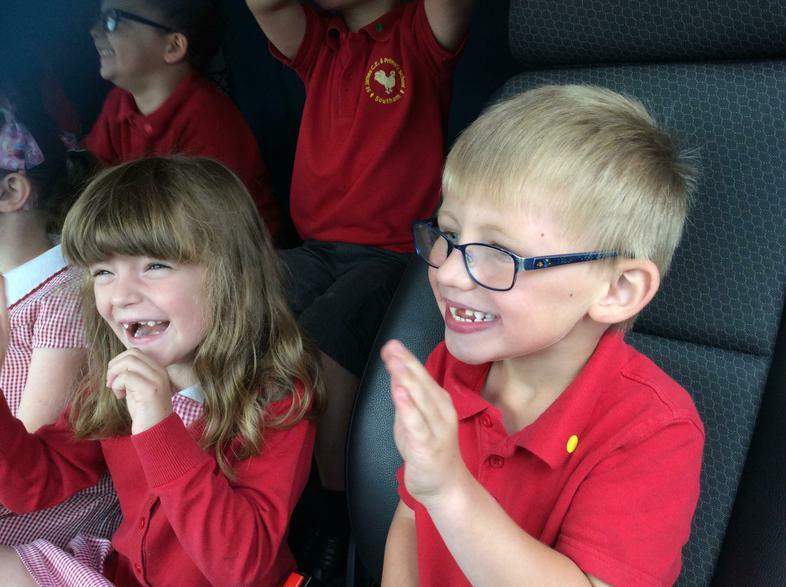 He brought with him equipment and clothing for the children to try and they particularly enjoyed looking at and sitting in the police car. 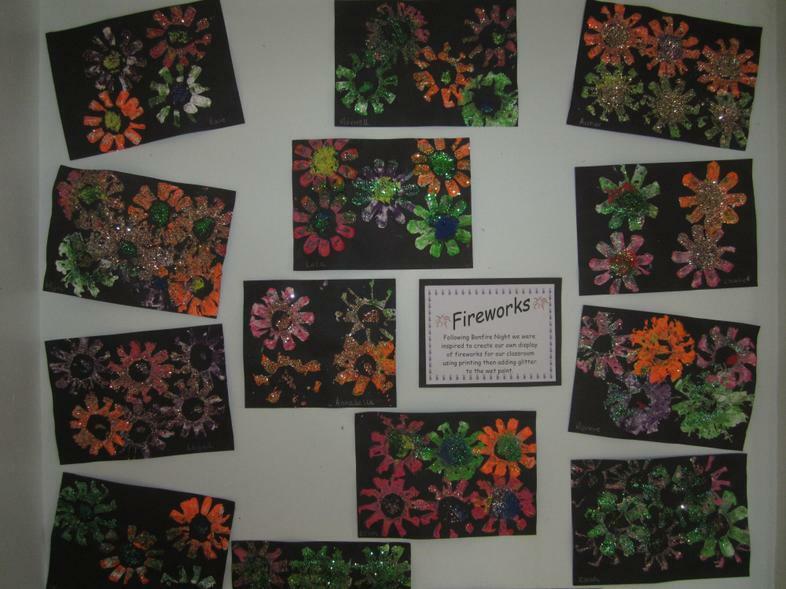 We have been thinking about and noticing the lovely flowers we see at this time of year. 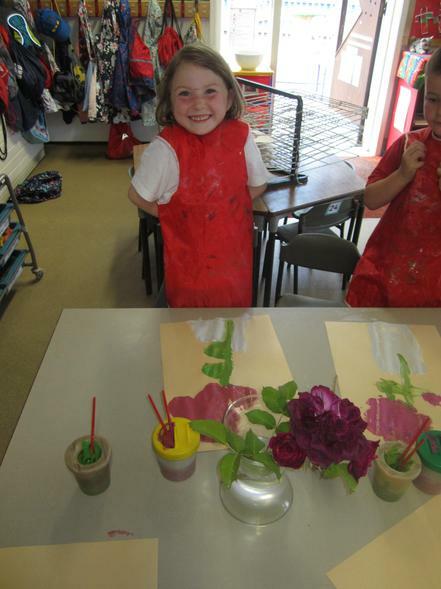 "still life" paintings which make a fabulous display. 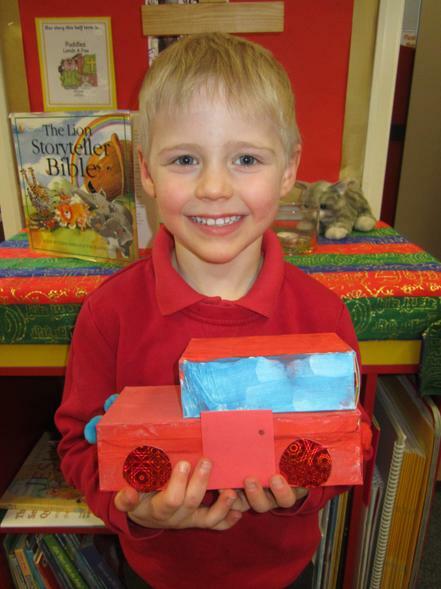 This term our topic is "People Who Help Us." 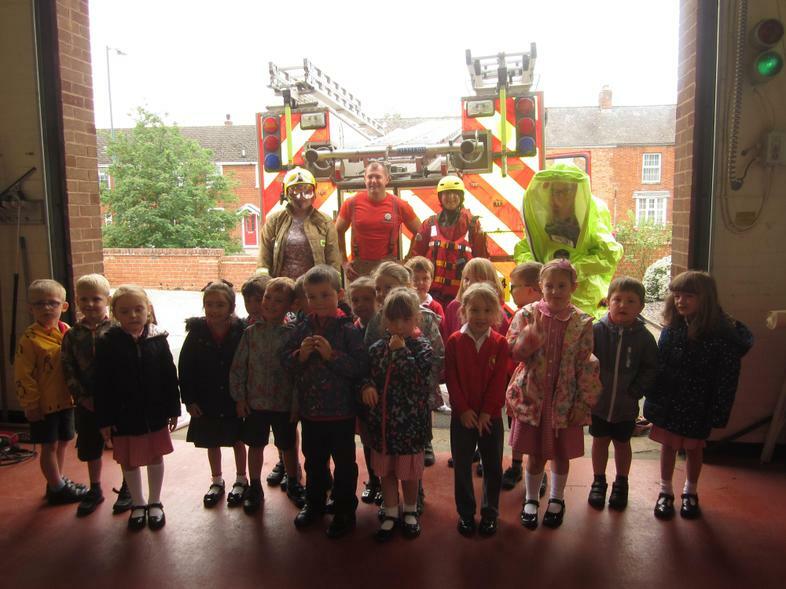 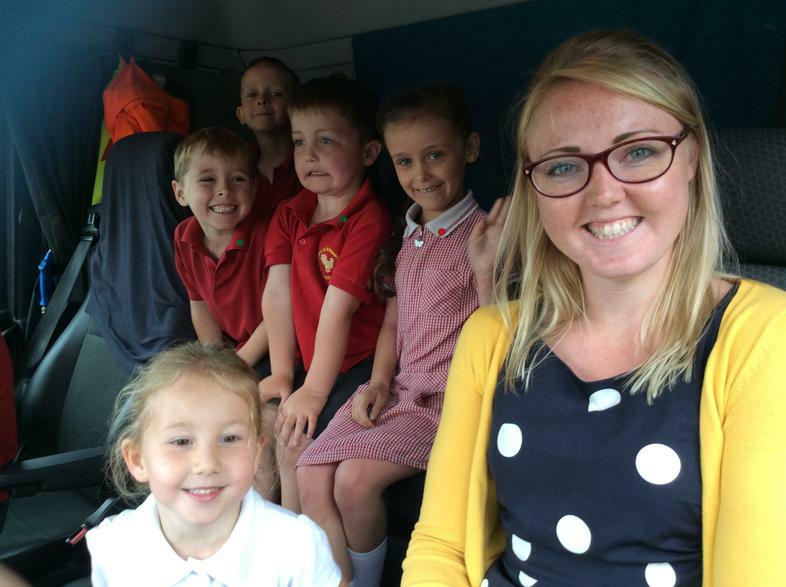 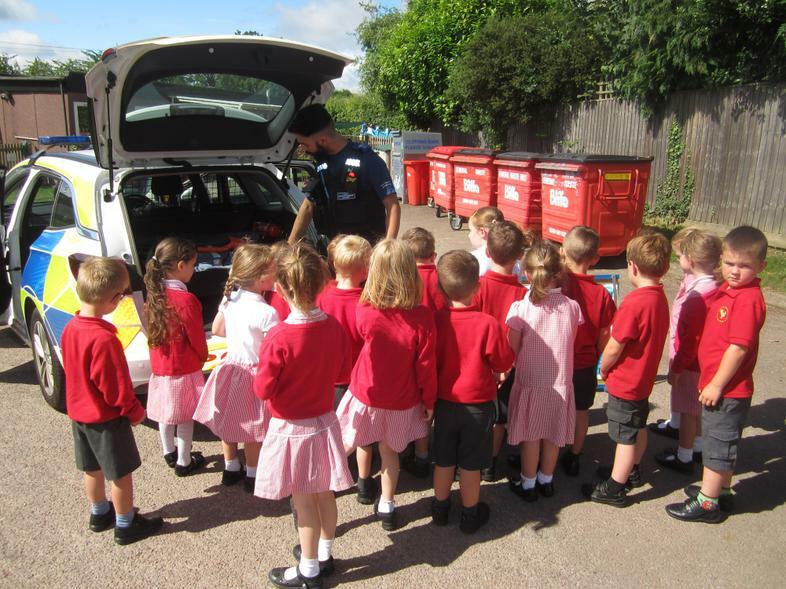 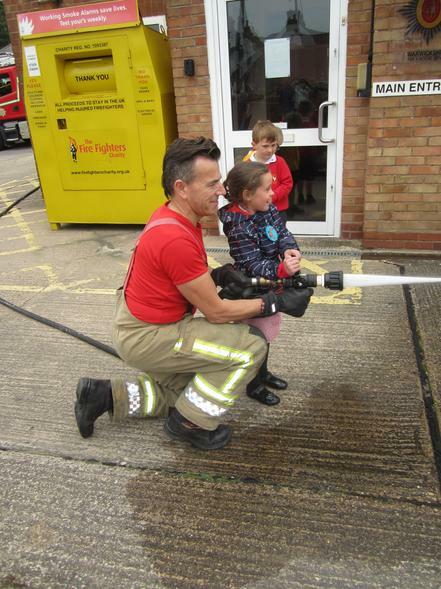 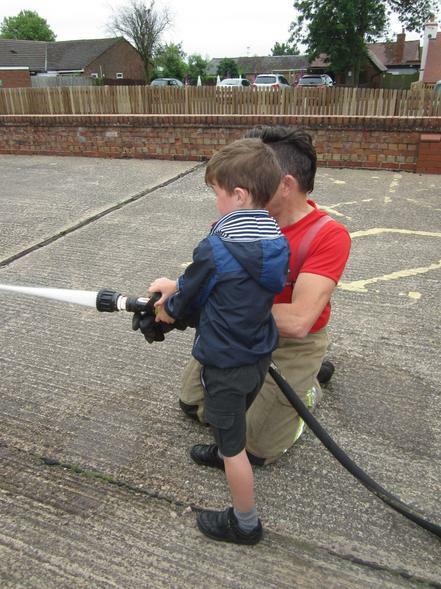 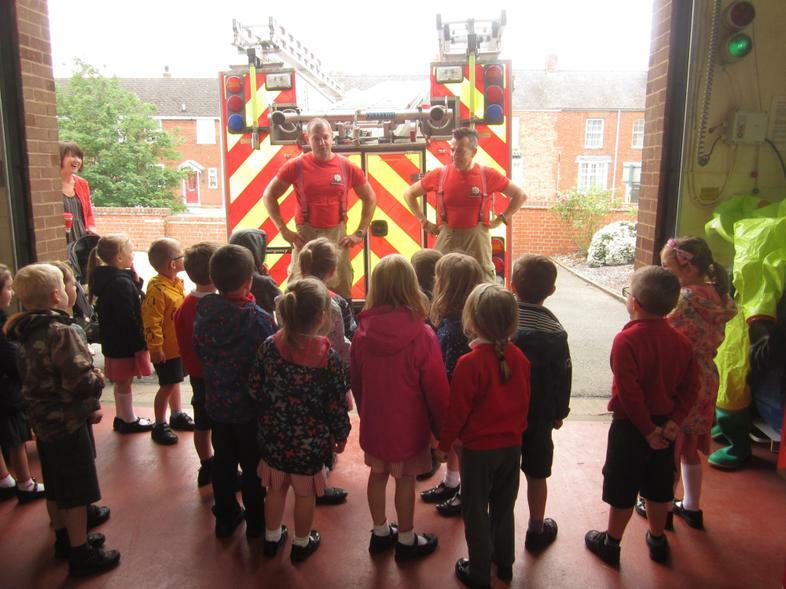 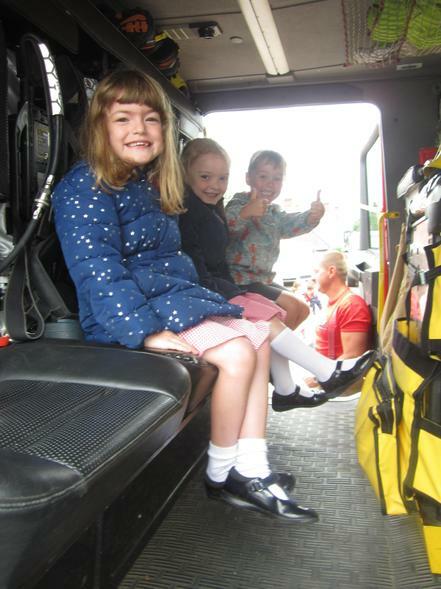 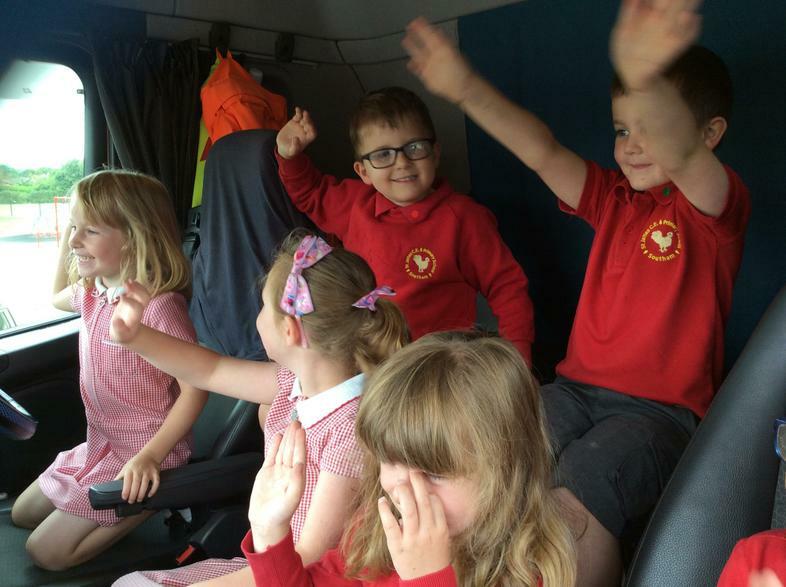 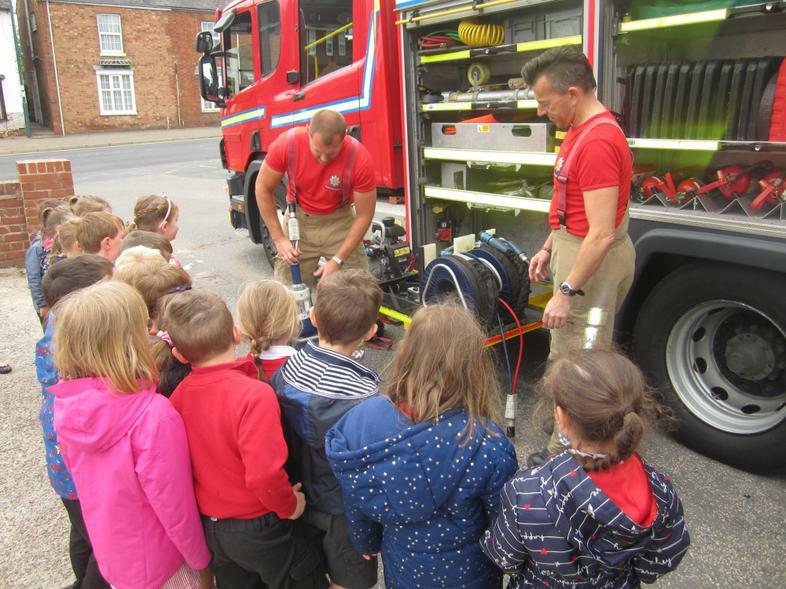 We visited the Fire Station in Southam to learn all about the varied work of a Fire Fighter. 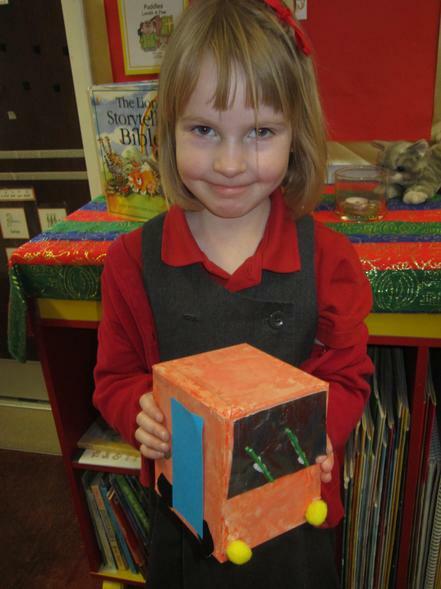 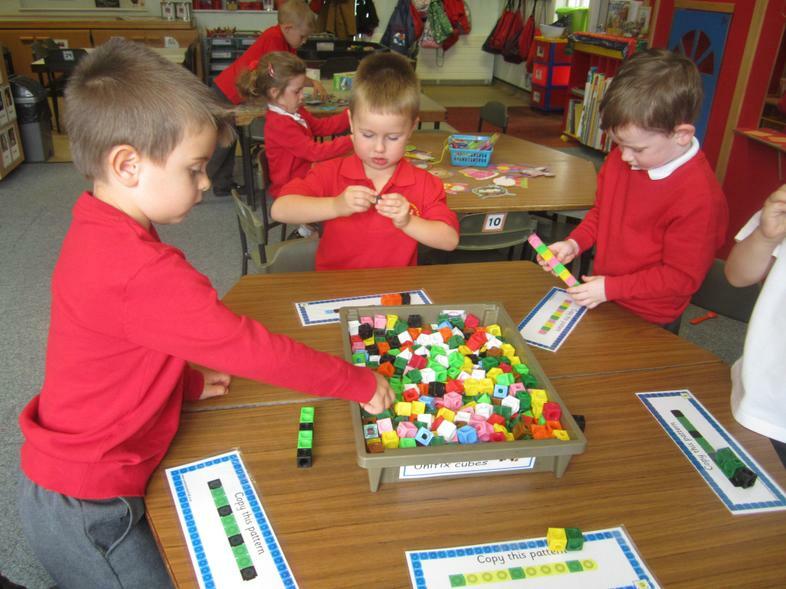 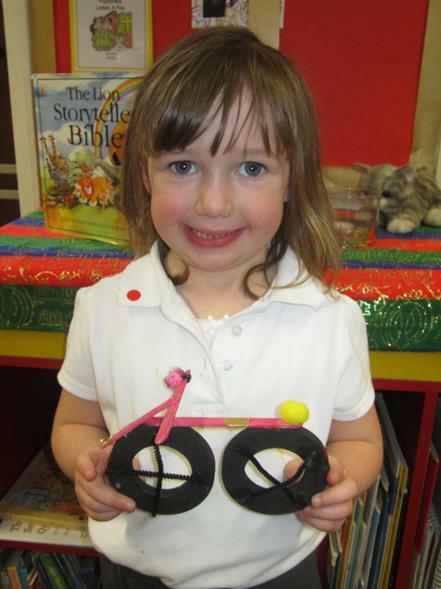 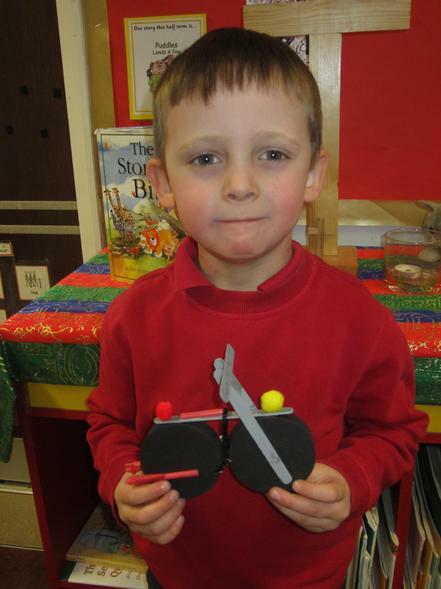 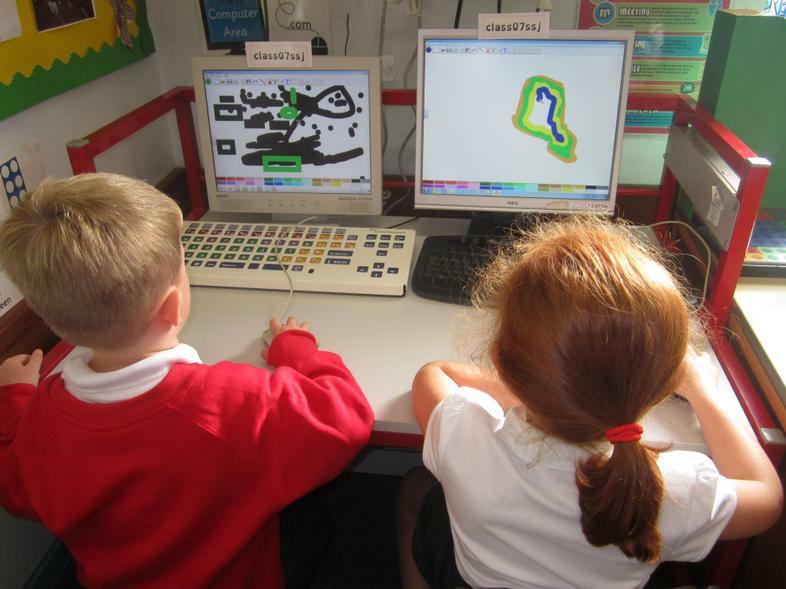 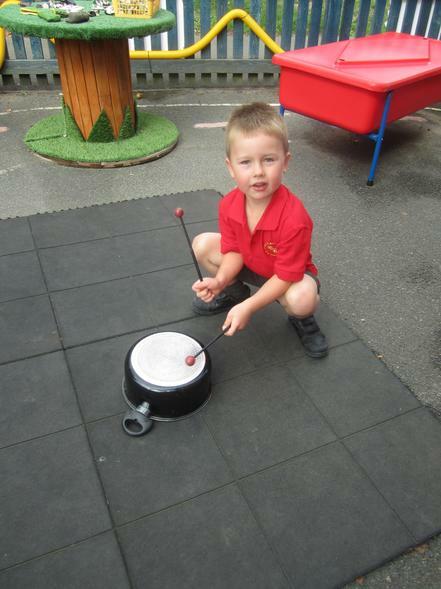 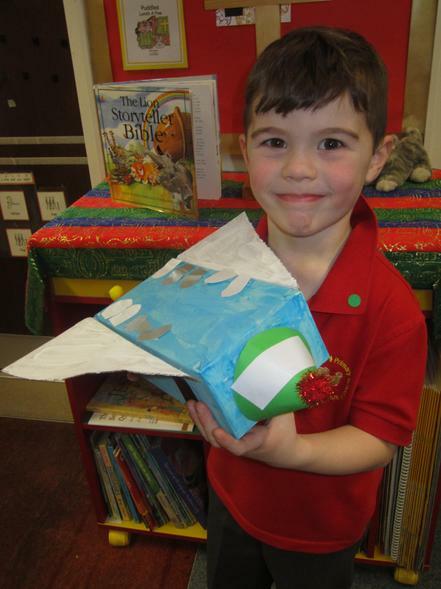 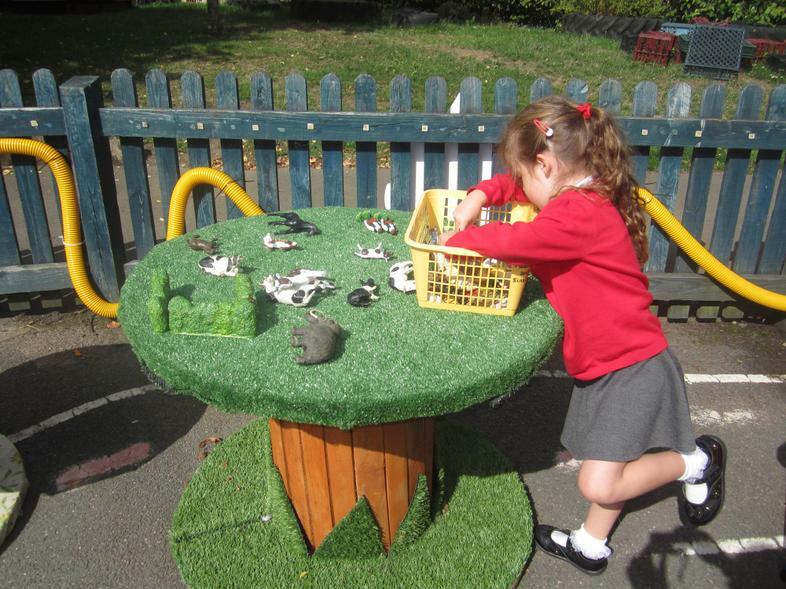 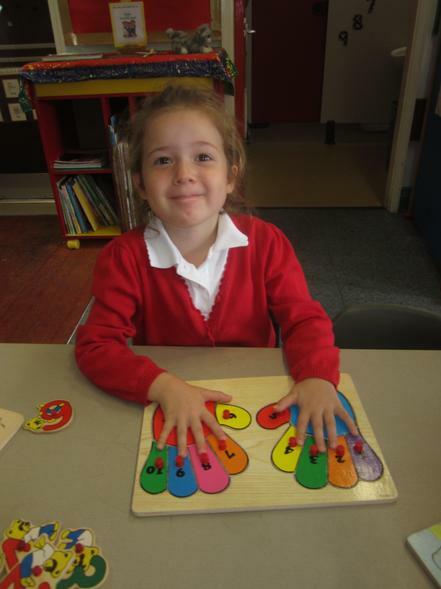 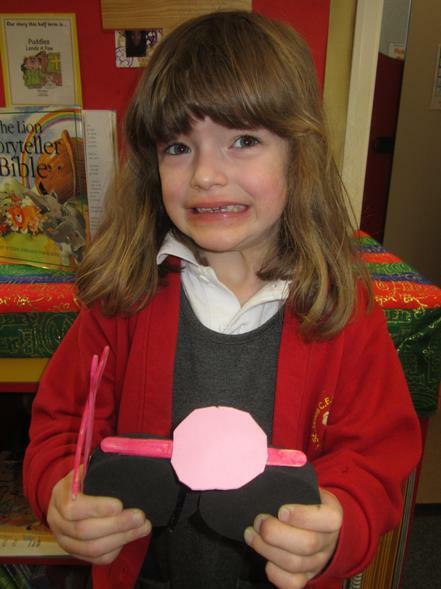 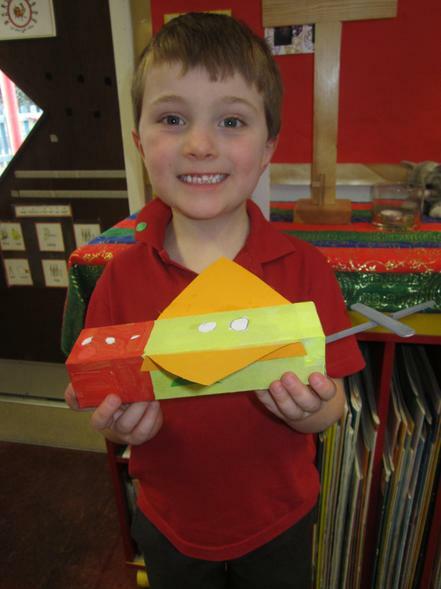 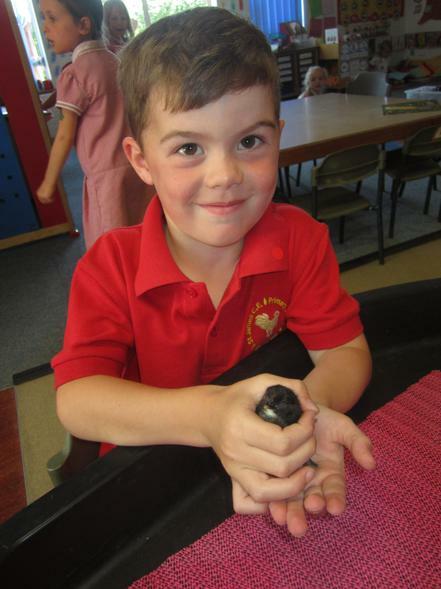 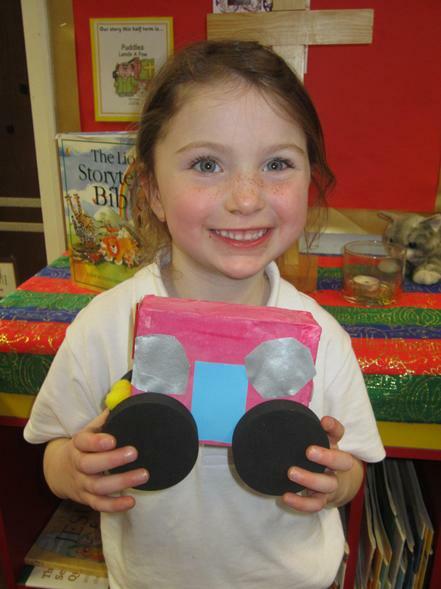 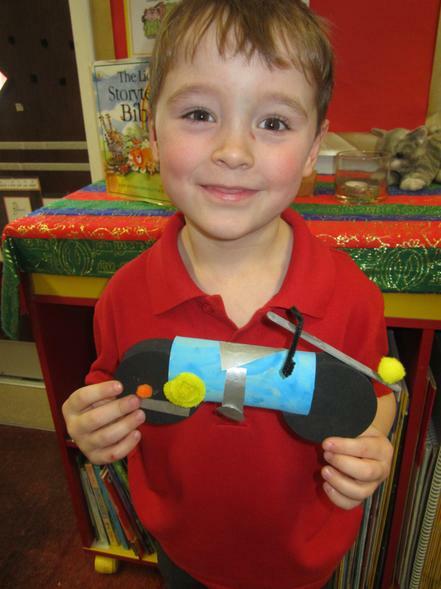 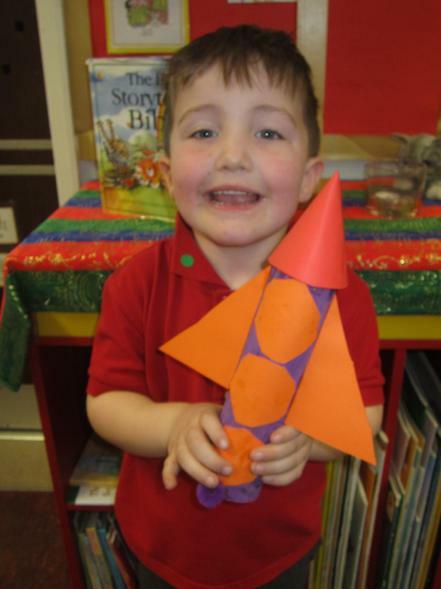 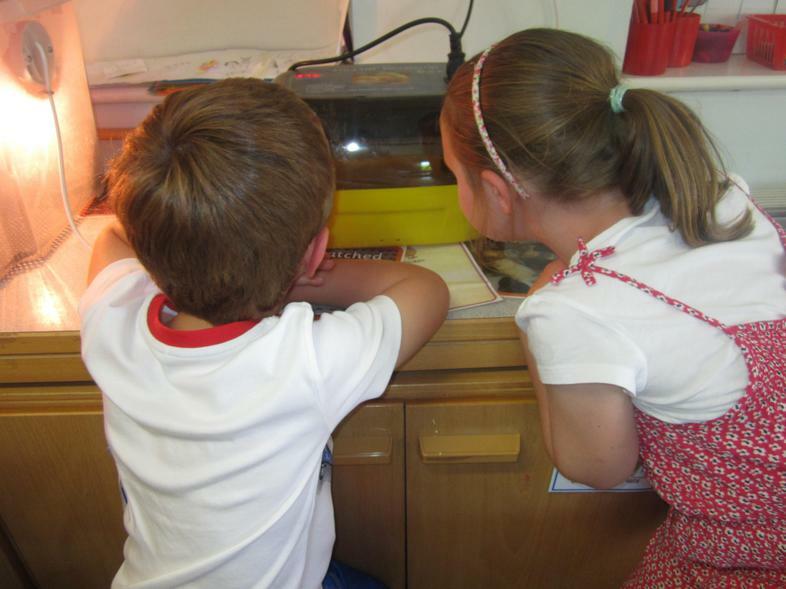 The children really enjoy and benefit from this type of "hands on" learning. 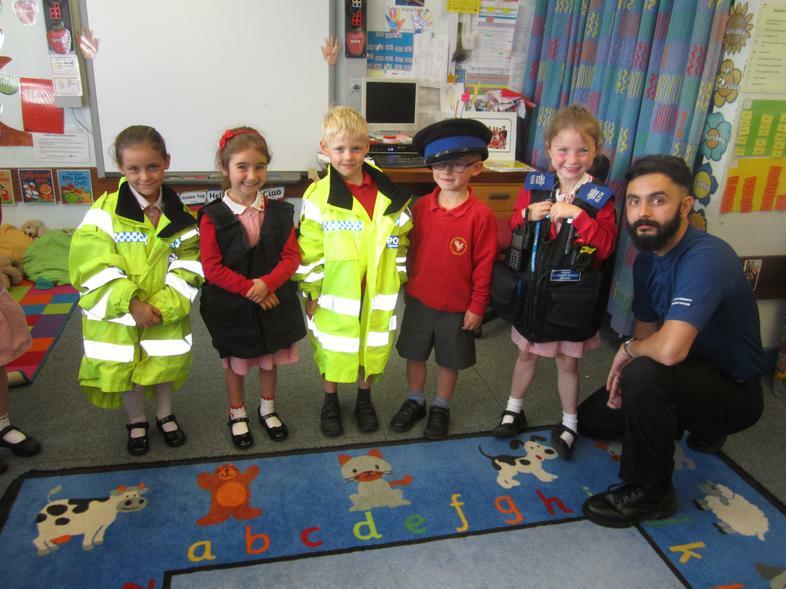 in addition to their regular uniform. 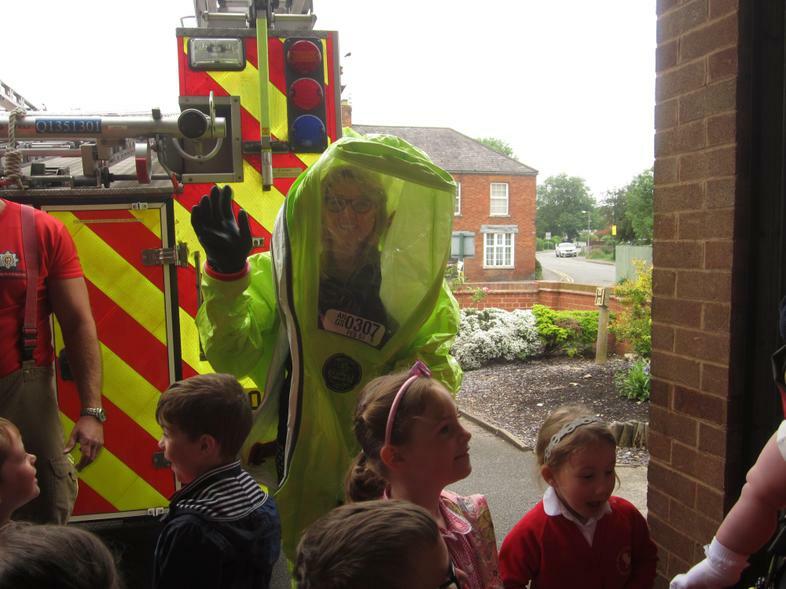 They loved that Miss Duncumb and 2 of our lovely parent helpers agreed to dress up in a special chemical suit, a suit for working in water and the suit they wear to go out on a regular call. 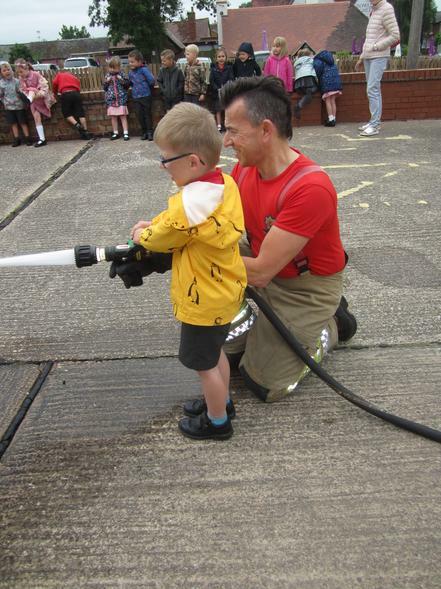 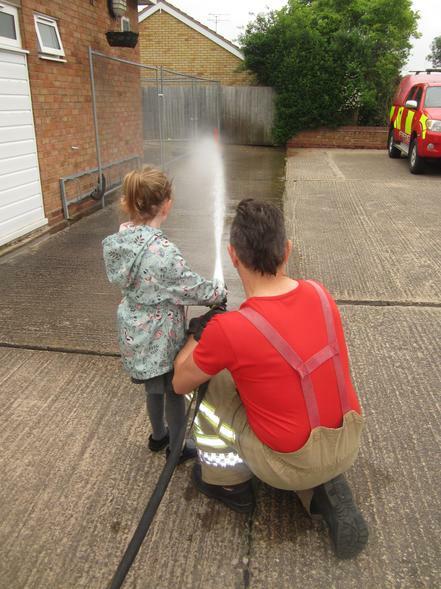 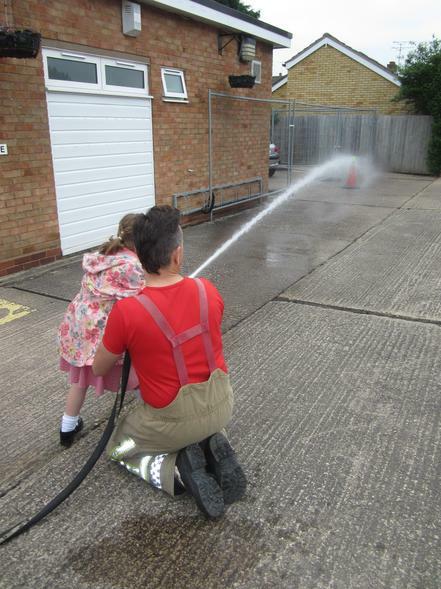 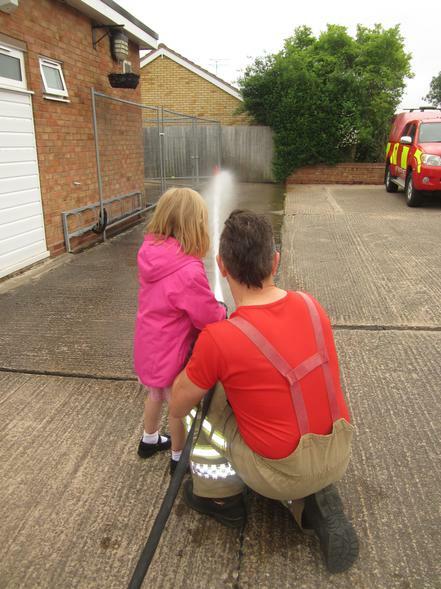 Next, the really fun part of the visit, the children all had a go at spraying water from the hose! 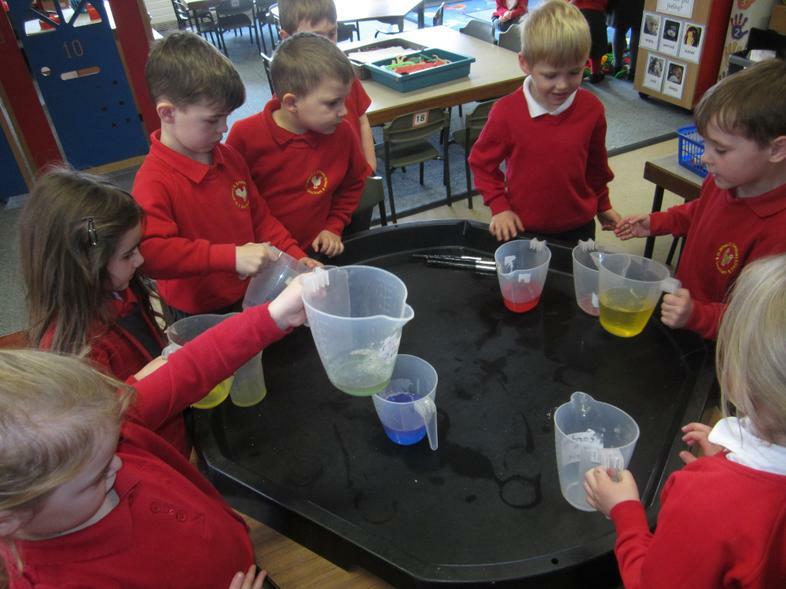 Inspired by all the wonderful and colourful sea creatures we have been learning about, we created our own under sea world in the classroom. 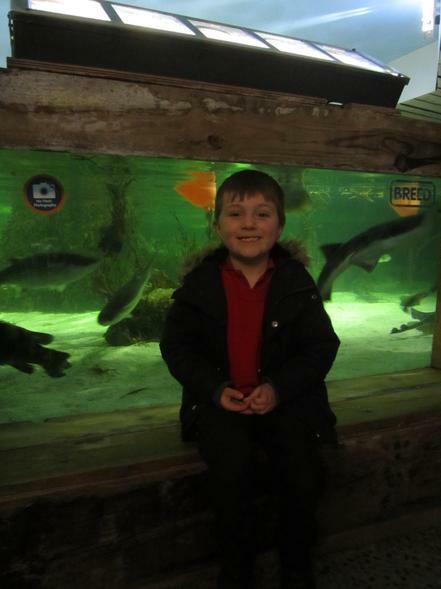 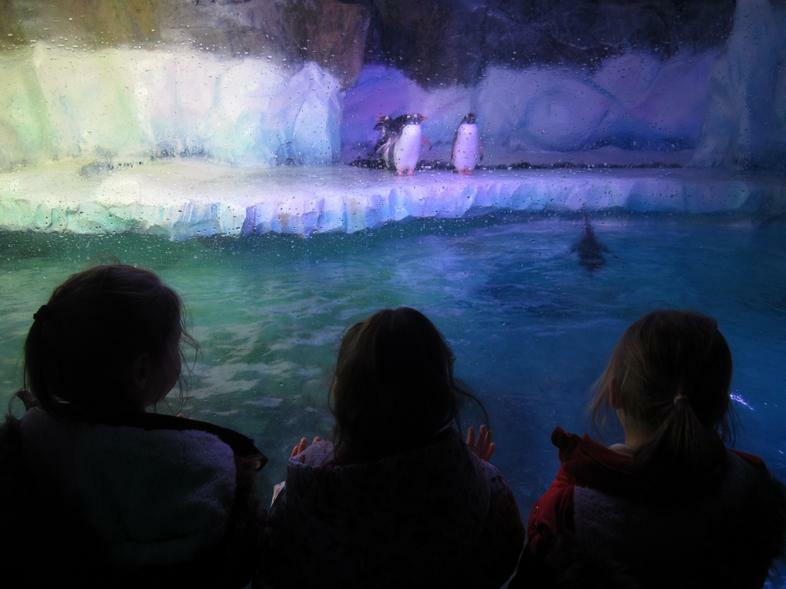 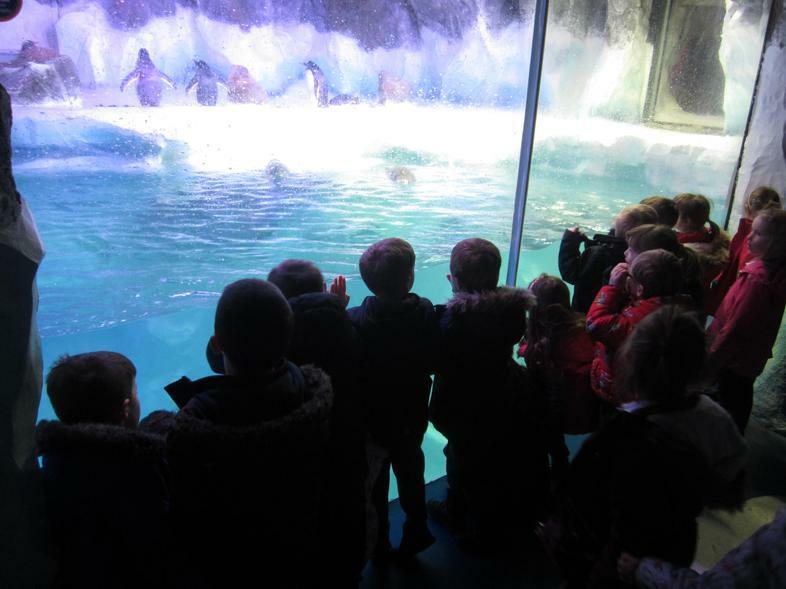 As part of our "Under The Sea" topic, we visited the Sea Life Centre in Birmingham. 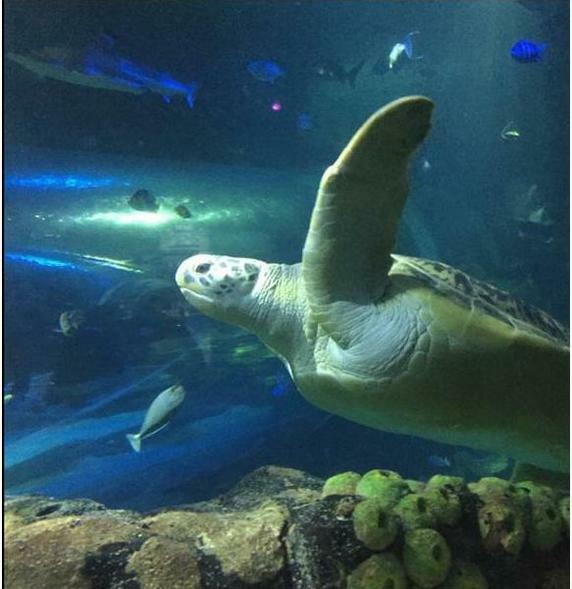 Giant Sea Turtle kept swimming past them. 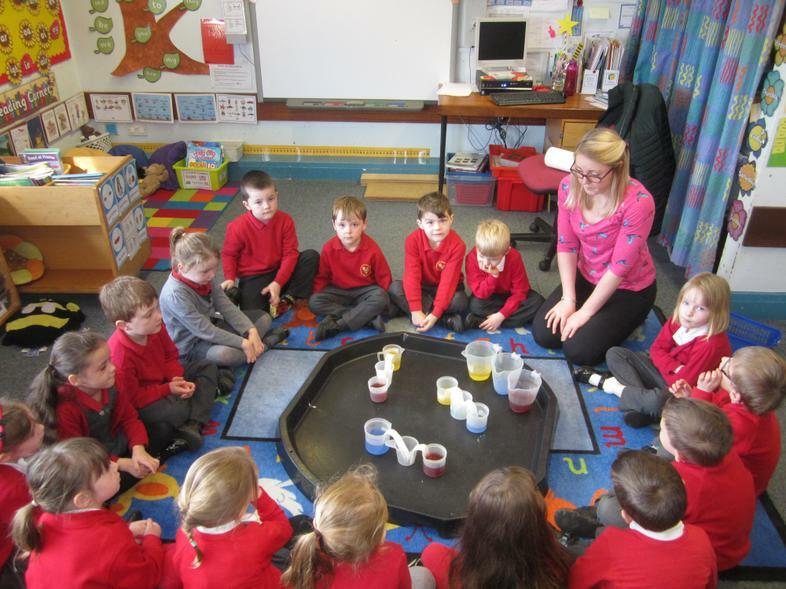 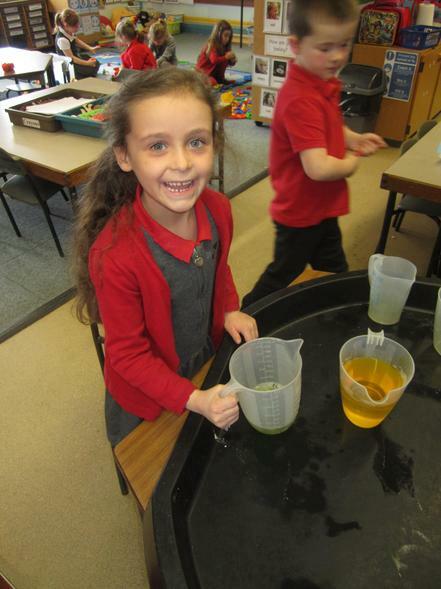 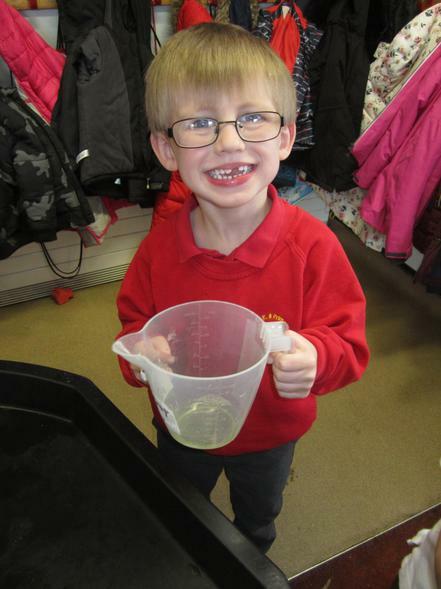 As part of our Science week Reception Class set up the "Walking Water" investigation. 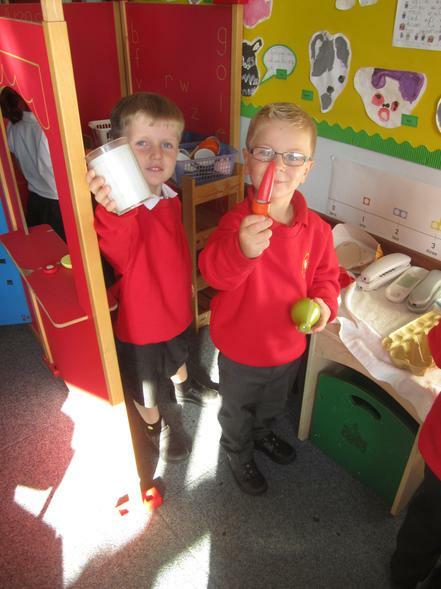 placed an empty cup between them. 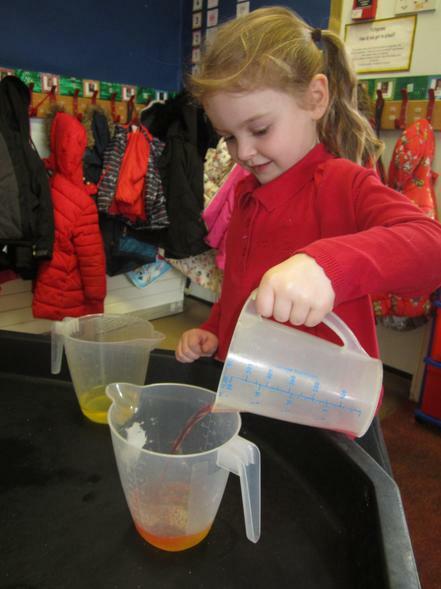 To link the cups together we used a piece of paper towel. 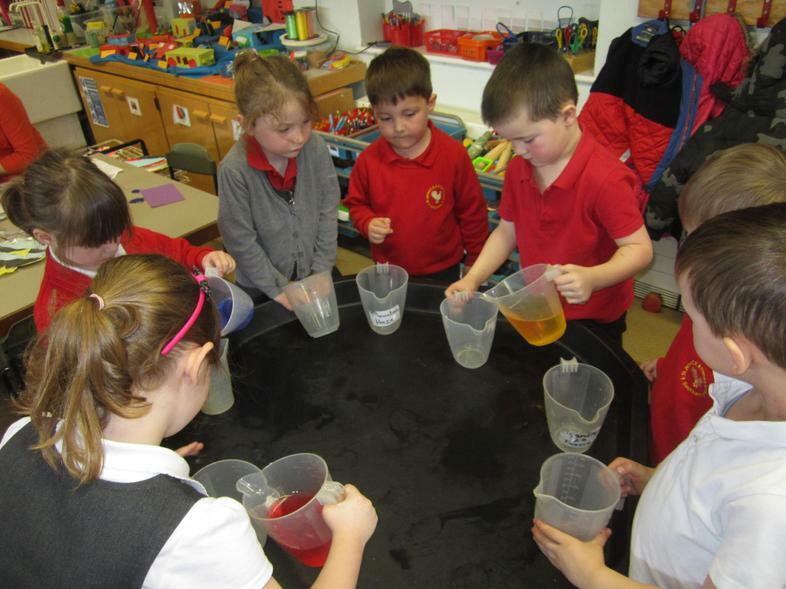 It was fascinating to see the water being absorbed by the paper towel and fill the middle cup. 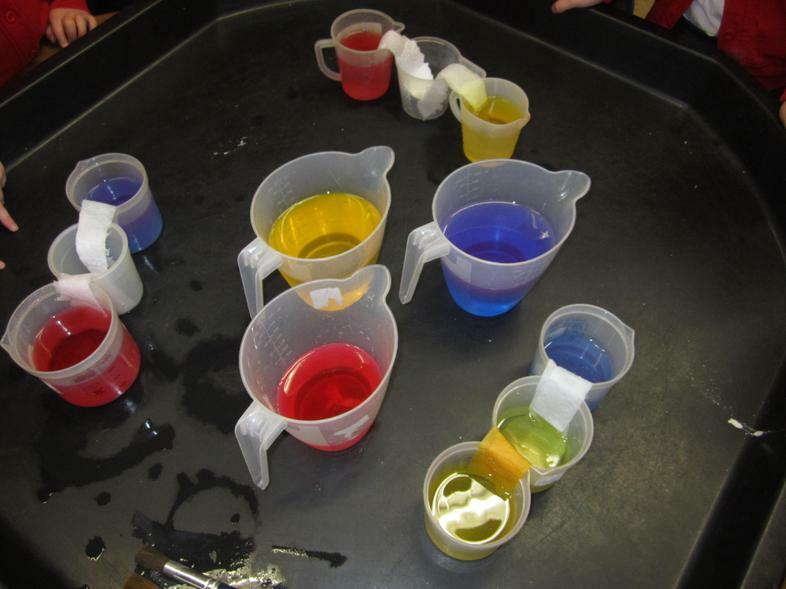 colour we would see in the middle cup. 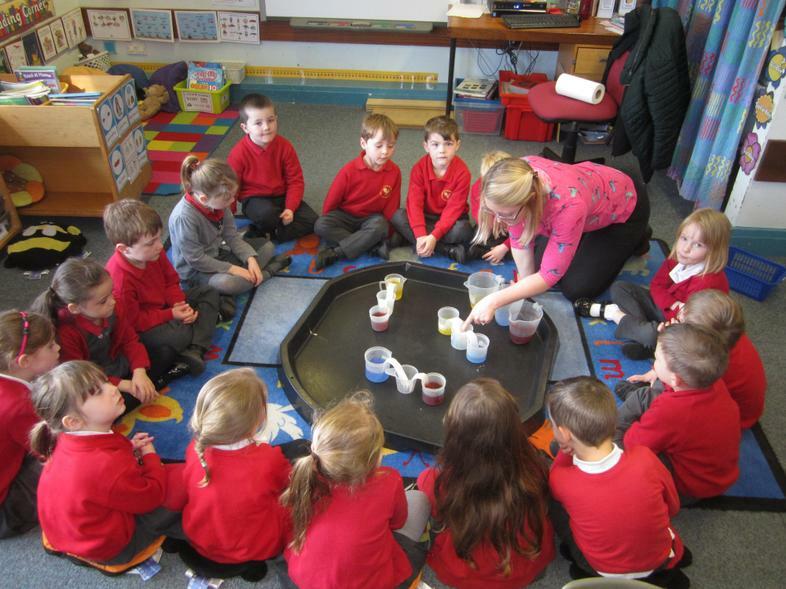 In our choosing time we used the opportunity to further investigate colour mixing. 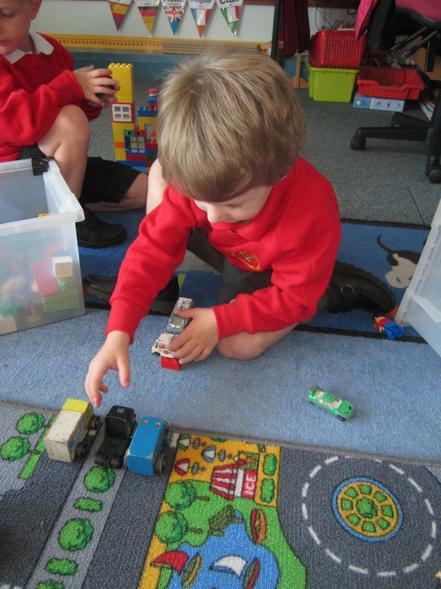 Our Stay and Play sessions during the year are a lovely family occasion where parents carers and siblings can come into the classroom and spend time with the children. 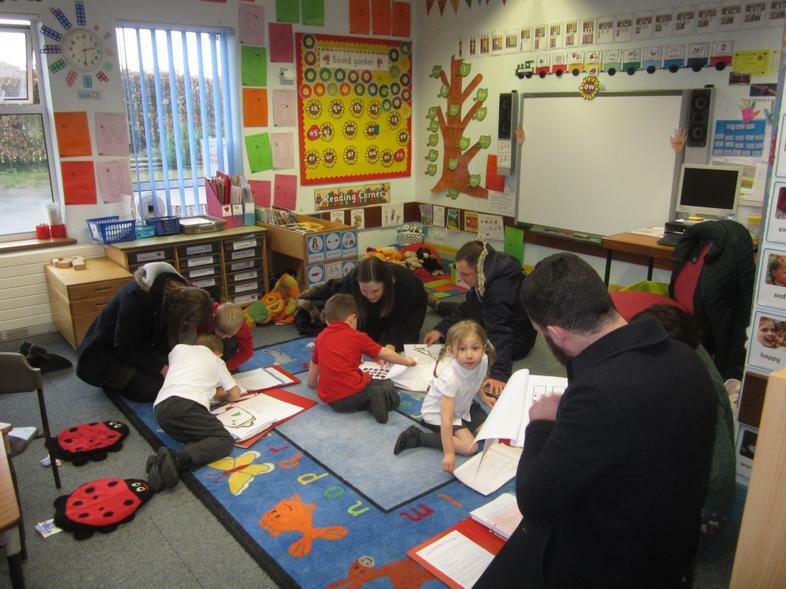 The children were excited to share their learning with their visitors and were very excited to show them their Learning Journeys and the beautiful work they have done in their books. 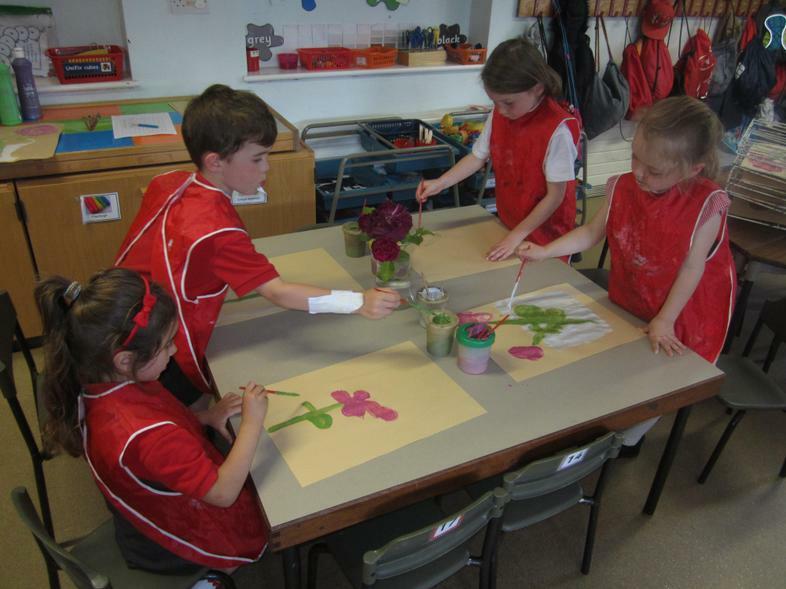 coming of Spring in their New Year. 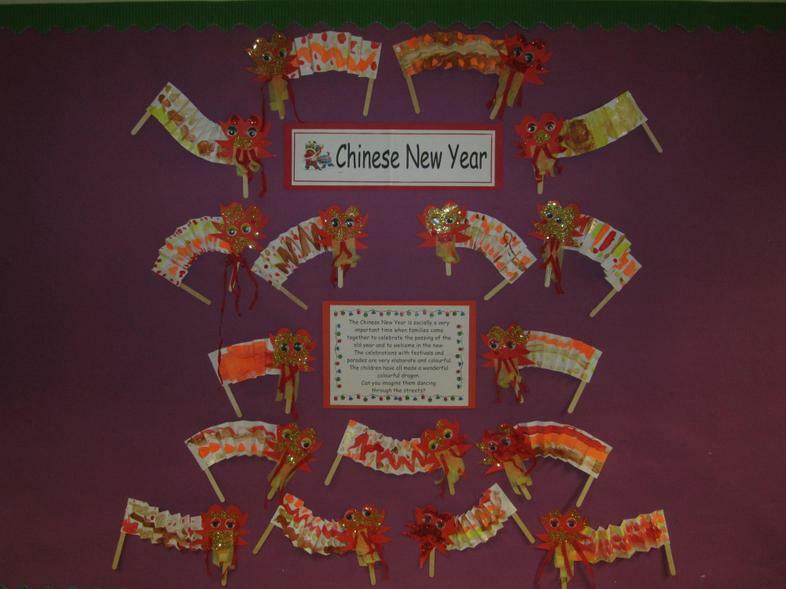 The celebrations are very elaborate and include dancing dragons. 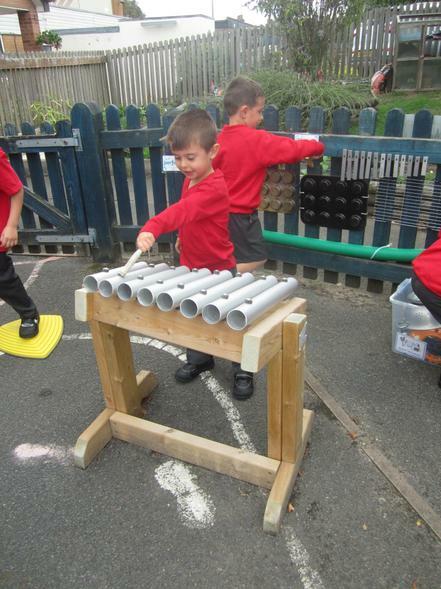 improvements that could be made. 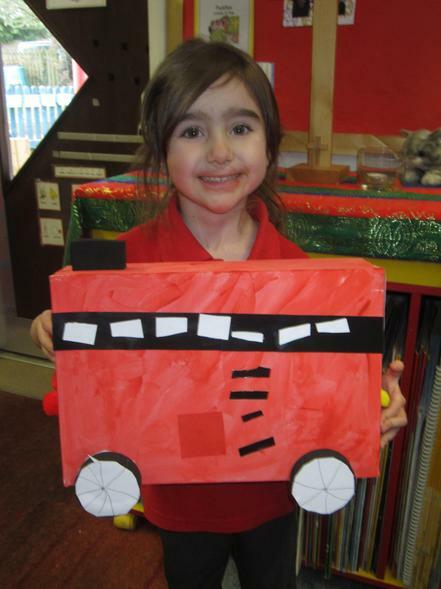 "2Paint" program to draw vehicles. 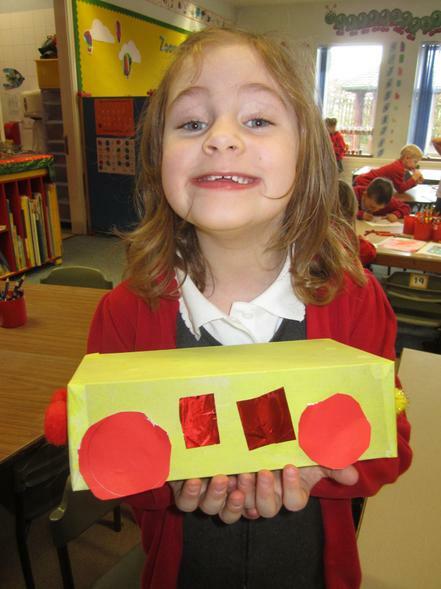 These were often different to the type of vehicle we had chosen to make. 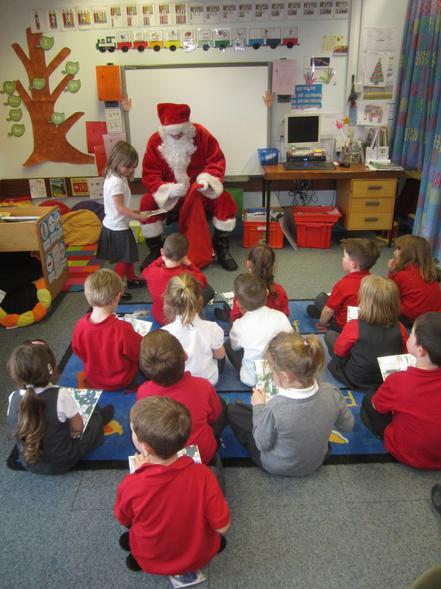 The children were very excited when Father Christmas visited during their Christmas party. 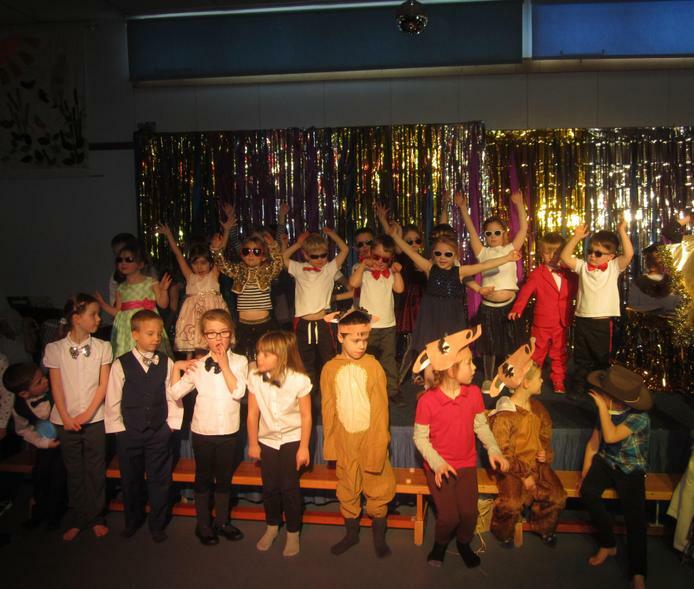 Here we are performing as backing singers and dancers for The Star of Bethlehem in our fantastic Christmas production. 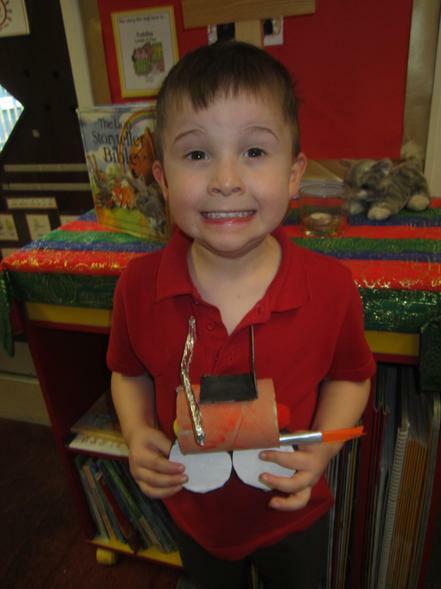 Lots of us enjoyed watching fireworks for bonfire night. 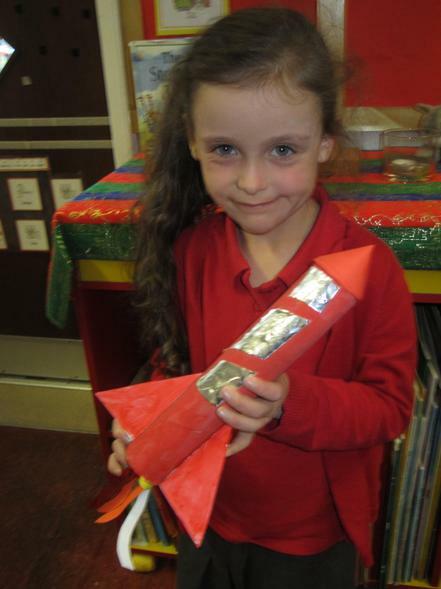 Using splayed toilet roll tubes we used a printing technique to create these stunning firework pictures which give us our own firework display in the classroom. 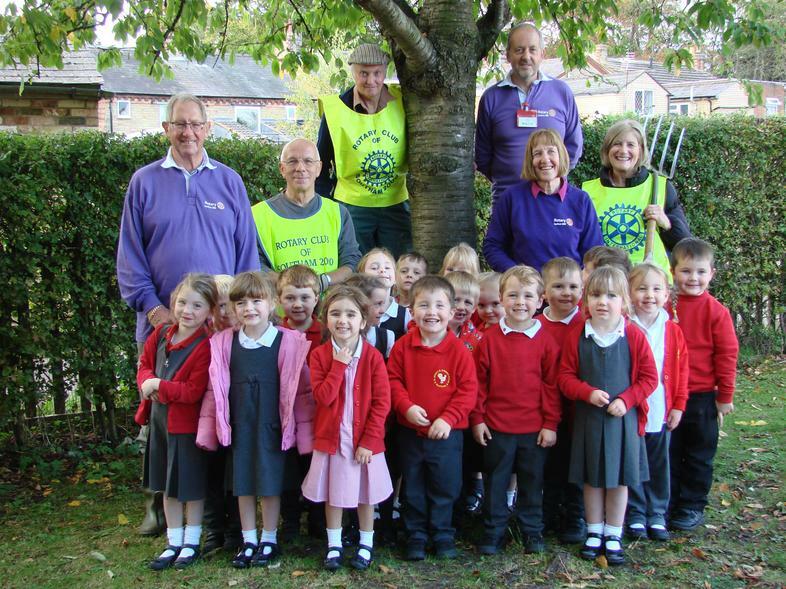 Our Reception class really enjoyed taking their part in this Rotary event, part of their campaign to eradicate polio. 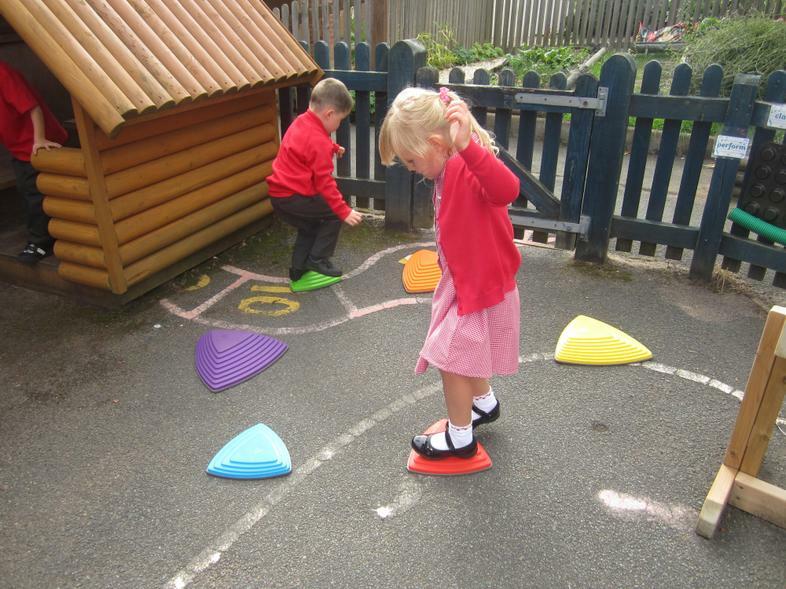 This term we are learning all about 2d shapes as part of our Maths learning. 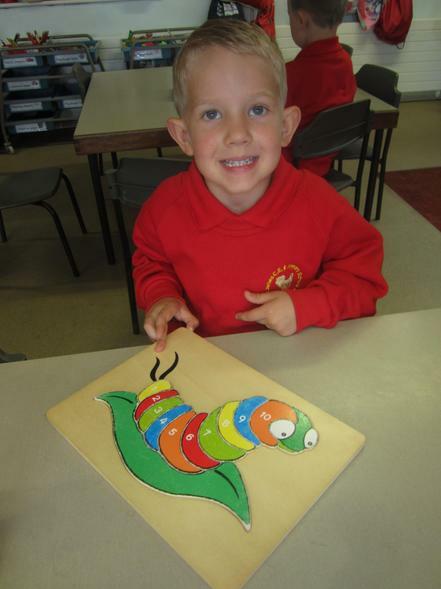 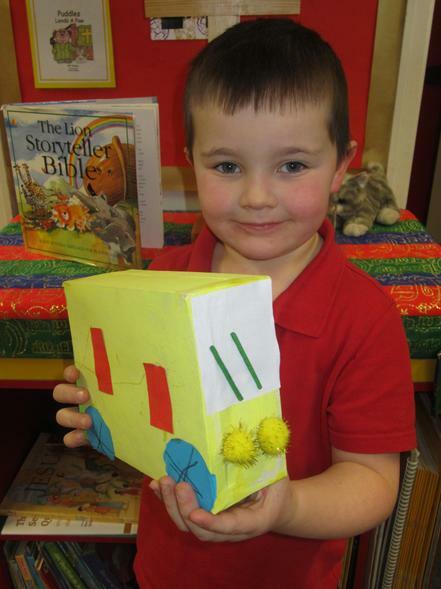 Using shape pieces cut out from coloured paper we have made these fantastic pictures. 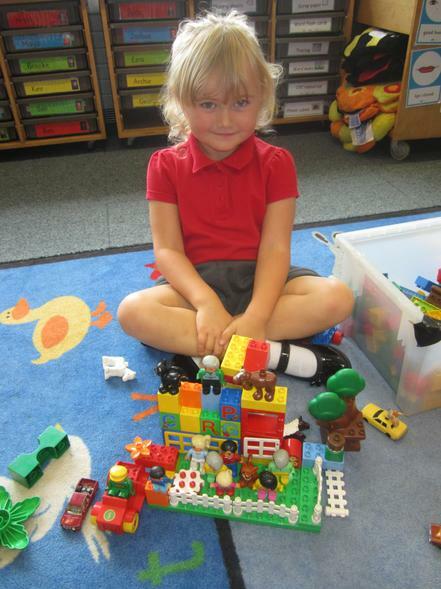 The children came up with some great ideas for their pictures. 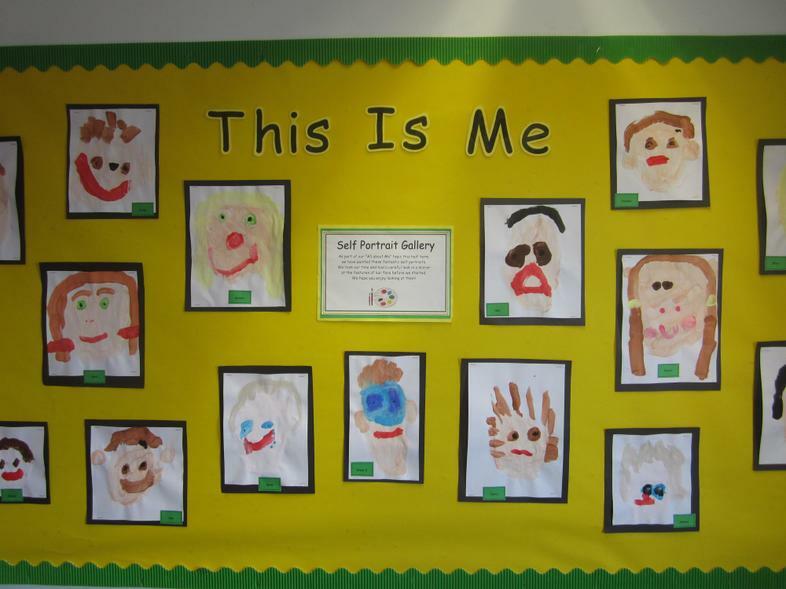 As part of this term's topic we painted we looked closely at our faces using mirrors and then painted these wonderful self portraits. 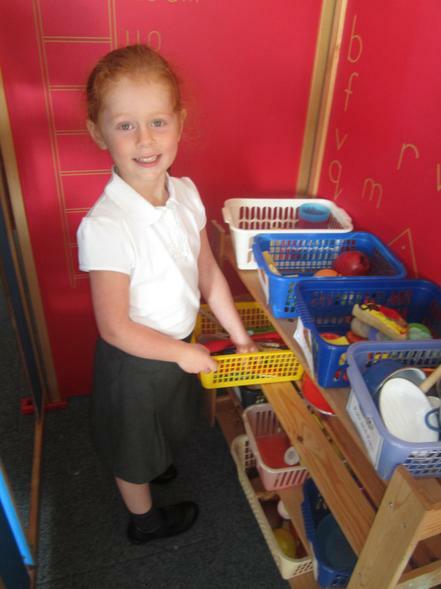 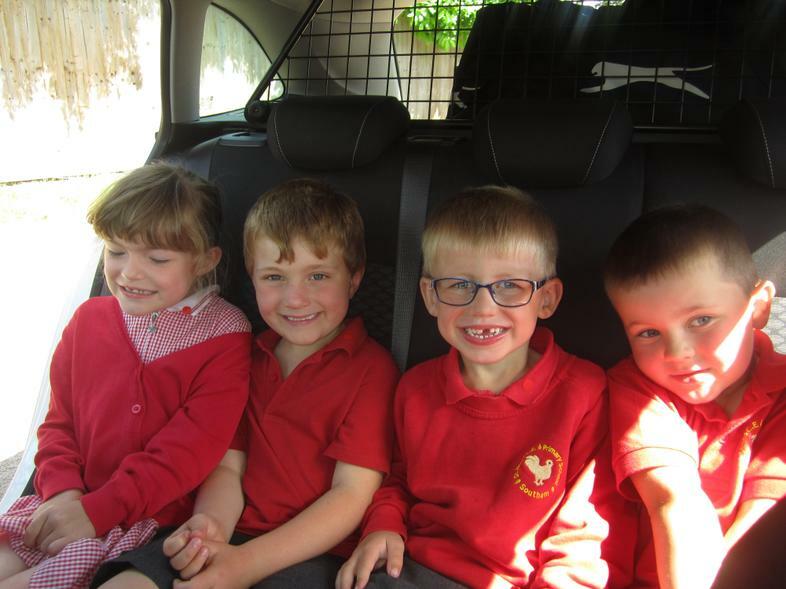 We welcomed 18 children into our class this September and they have all settled really well. 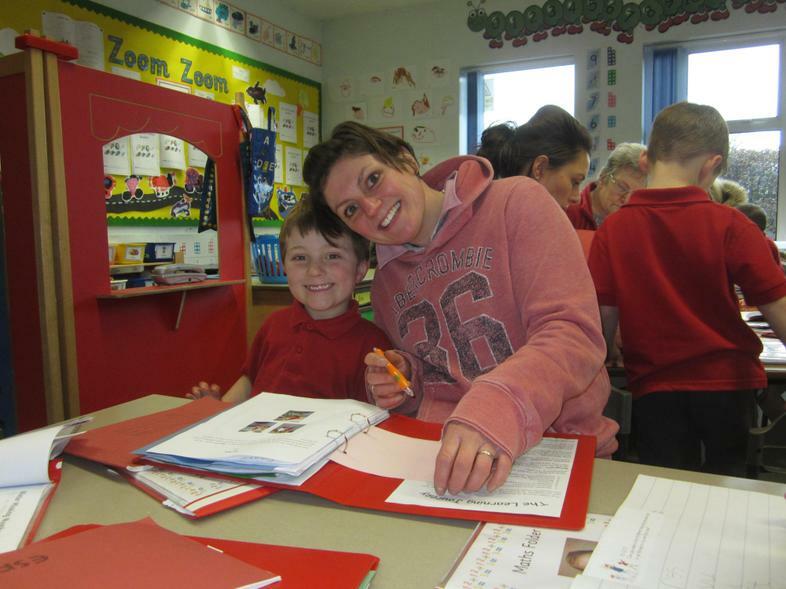 It is lovely to have them as part of our St James family. 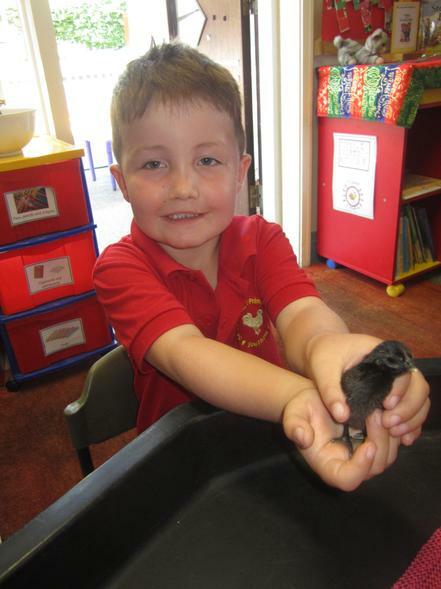 and making news friends is clear to see.